Moldova is a poor country. Poverty, misery and need are especially perceptible in the villages, where there are nearly no jobs or opportunities for development. There are many poor families here who need help. Hard lines have the old people and children with disabilities too. The old-age or disability pensions are too small. The income of poor families is too low and not enough for buying even the strictly necessary. This people get little help and support from the State. That is why such projects that supply these families with food, are very important. 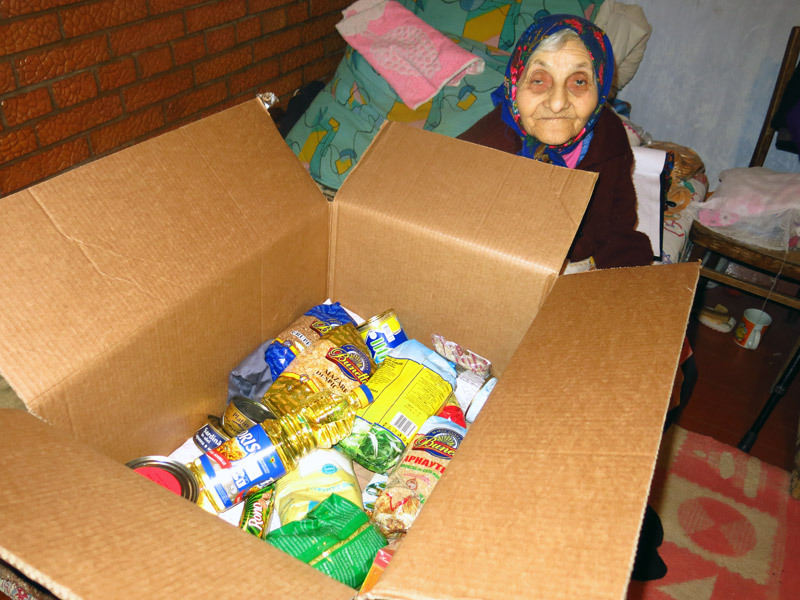 We were able to buy 263 food parcels for poor, ill, disabled and old people. The majority of packages were distributed at Christmas. They were very happy and grateful for this support. Their tears of joy are the most important for us! 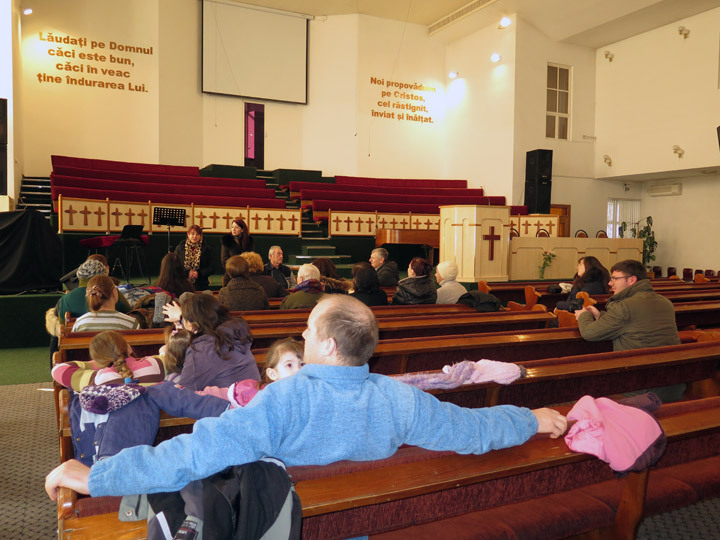 These activities were financed by the following partners: Priest Hans Bock, Regensburg, Pro Moldavia e.V., Gladbeck, family Zühlke, Zug, Franziskusgemeinschaft, Pinkafeld, Mr. Dr. Alexander Koss, Chisinau. The idea to open day care centers for children from poor, socially vulnerable families comes from Switzerland. 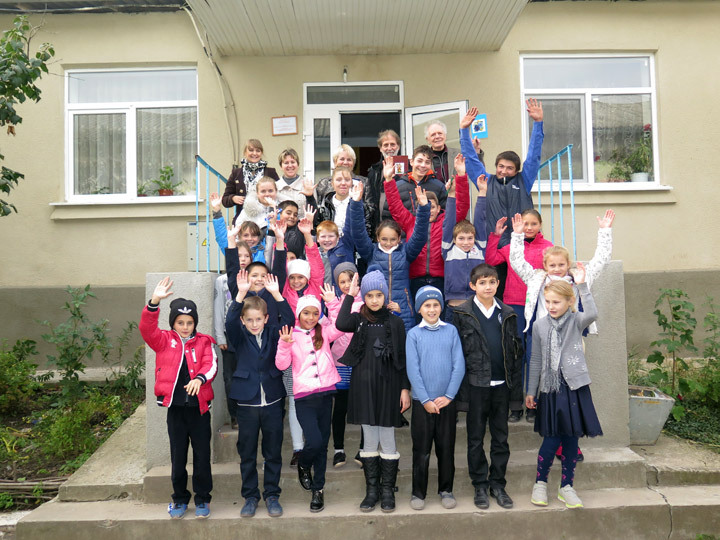 The Swiss organization “Help for Children in Need” (HCN), Evilard wanted to offer to these children a better future. 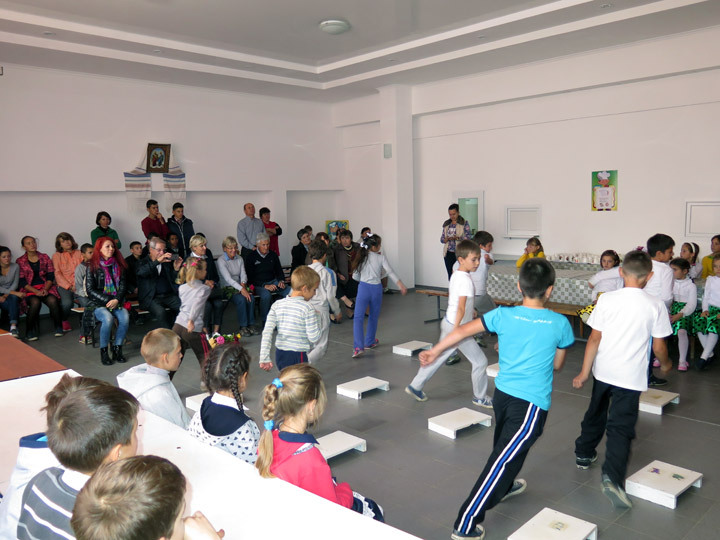 So the day care centers for children BUNVOLENTIA came into existence and provide to poor children healthy nourishment, good occupation, support by homework and many more. 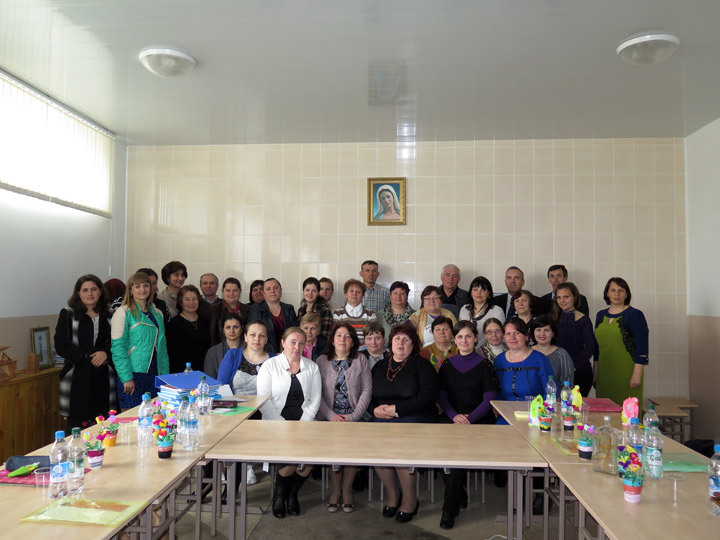 The day care centers got settled in Moldova and are functioning successfully. Now, the first day care centers received the accreditation for social services from the Ministry for Work, Social Protection and Family. 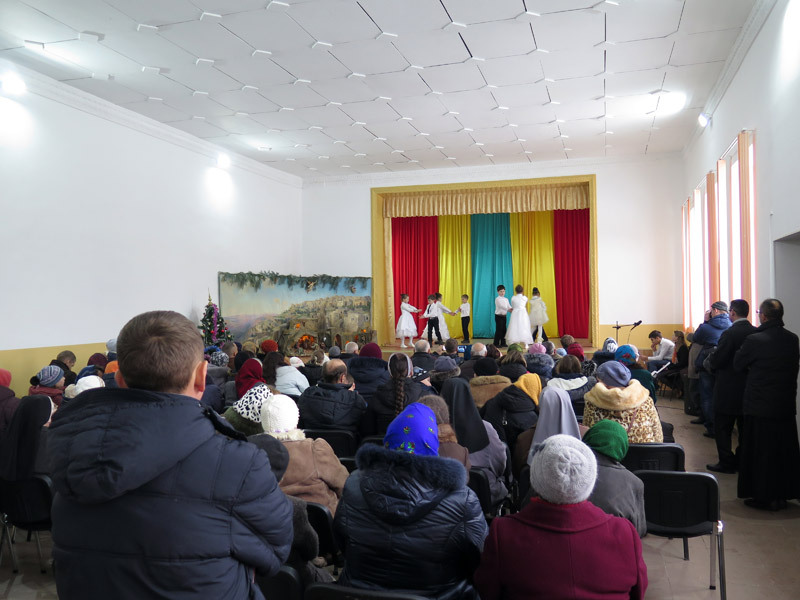 A benefit concert for an ill child took place in the culture house of the village Grigorauca on December 18, 2016. Artiom is three years old. Seven months ago, he was diagnosed with leukemia. The child needs expensive treatment. The parents are desperate. The children from the day care center “St. Maria” felt for this serious situation and decided to organize a benefit concert for Artiom. They prepared for it responsibly. They learned new dances and theatrical performances, made handicrafts, and organized a small fair. 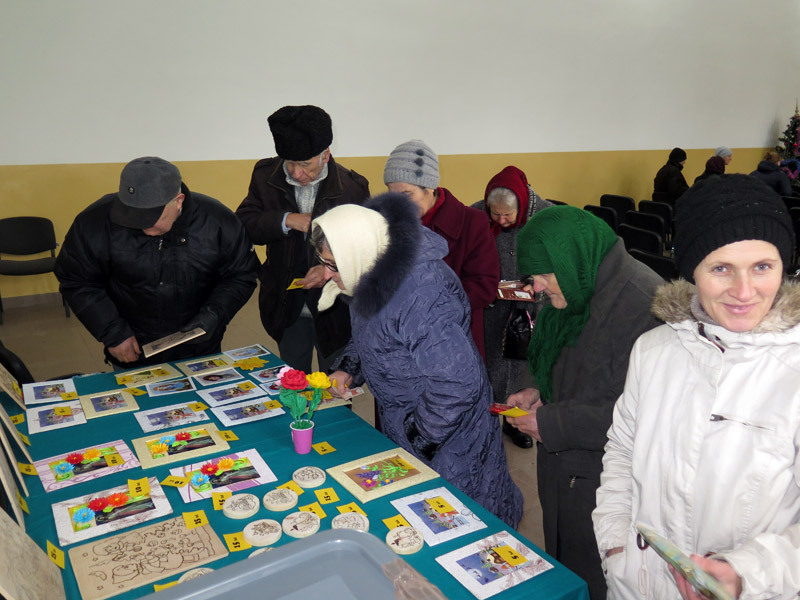 The guests of the concert could buy various wood works, greeting cards, crochet napkins and others. Despite the cold, the hall was full. Children’s efforts were rewarded. They collected a nice amount and handed it over to Artiom’s mother. It’s nice that our children worry about the fate of other children and are sensitive to the misfortunes of other people. Such qualities are educated and implanted within the day care center. Christmas – the crib is a part of it. Its origin is conferred to Saint Francis of Assisi. He vividly staged and presented Christmas in Greccio in 1223; he performed as deacon. 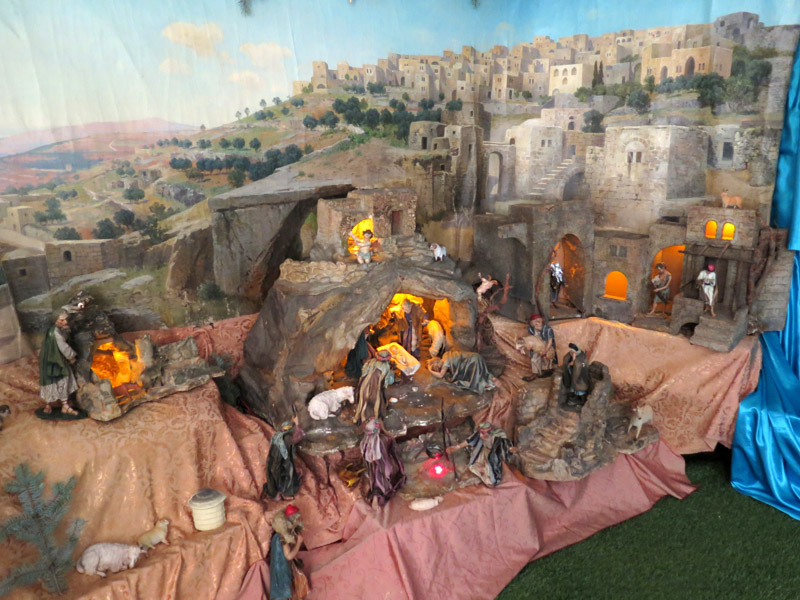 Through Christmas game developed gradually the figured crib representations; and the idea from the first Neapolitan and Sicilian cribs spilled over throughout Europe in the late middle ages. In Germany, the representation of Jesus’ birth found its flowering in the 18th century. – Especially famous and well known are the cribs of Sebastian Osterrieder or just “Krippenwastl” (“Krippe”=crib; “Wastl”=short form from Sebastian), as he was named. He is considered the man, who rediscovered the Christmas crib and finally brought it to flowering. The biggest carving of Osterrieder was the Cathedral crib for the New Cathedral in Linz with more than 40 figures from linden wood completed in 1913. He created a similar-sized crib for the Paderborn Cathedral. He even worked in St. Peter’s Basilica in Rome and was awarded for this by Pius X. Konrad Adenauer ordered for himself an Osterrieder crib too. 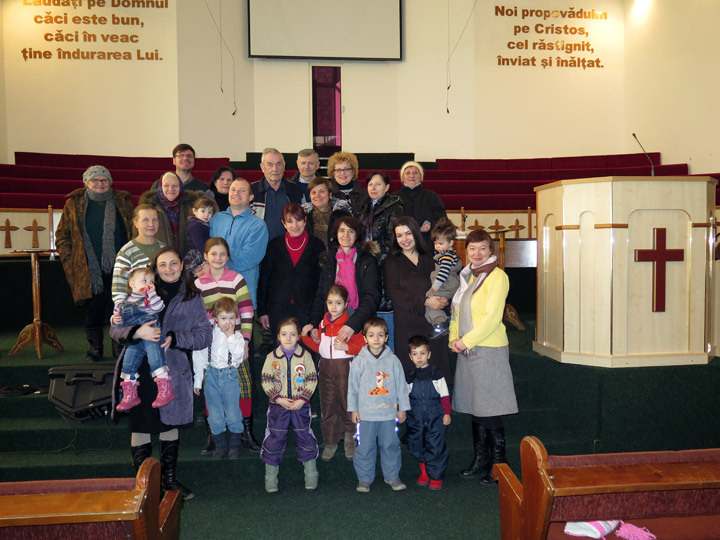 And now, thanks to father Erwin Benz, Baar an Osterrieder crib could be transmitted to Moldova by Dr. Peter Ott, Zug. Peter Langenegger and Hilfswerk Liechtenstein made this possible. Our Vladimir Nadkrenicinii is overjoyed and immediately recognized its value. 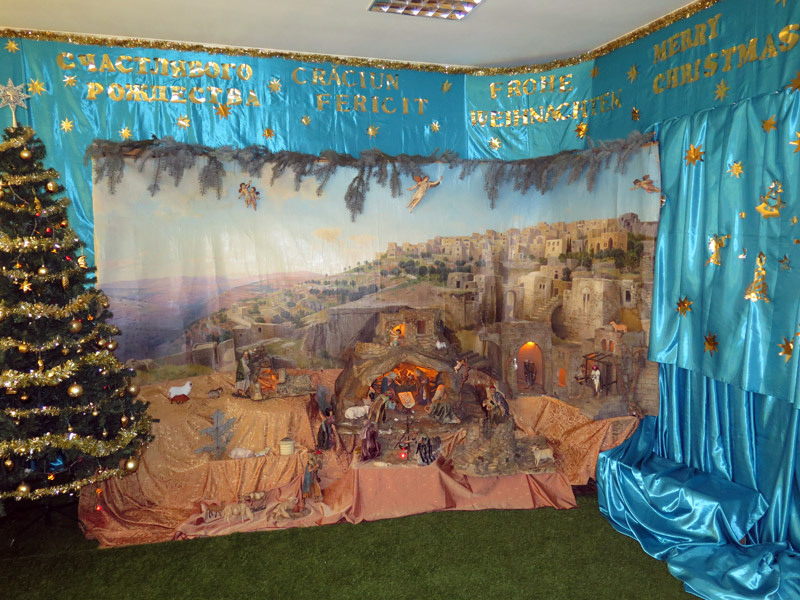 The Christmas crib is built up in Grigorauca this year; then he plans to build it up each year in a different church from Moldova. – The Holy Land is represented on a screen, in front of it are a cave with the crib, Maria and Josef, donkey and ox, the shepherds and sheep; the Three Kings are missing; it would be nice, if they could join in. So, an Osterrieder crib lives further and yet in a country that particularly needs salvation. 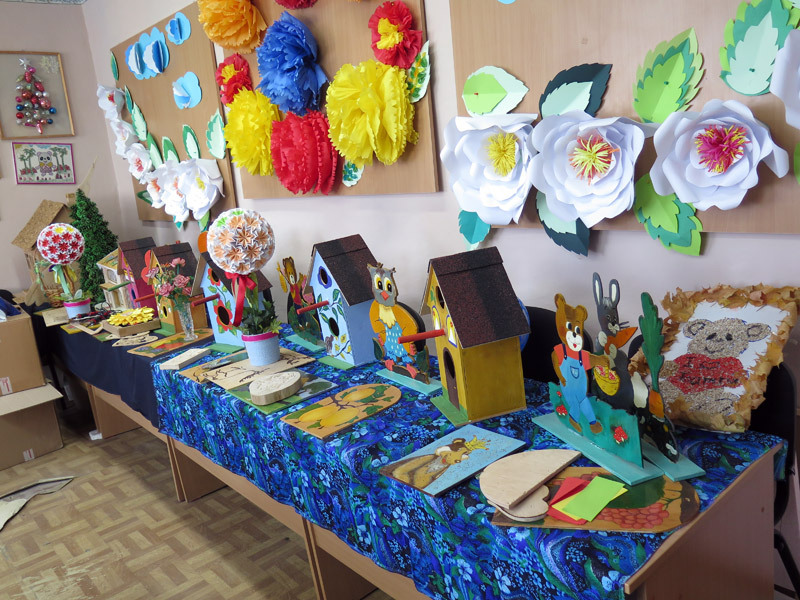 The winter has recently arrived, but the children from the day care center BUNVOLENTIA Petrovca prepare themselves for the spring. They make birdhouses to hang them on the trees in the schoolyard. The boys are working eagerly and with great joy. Besides the birdhouses they make other wooden objects. So they acquire special knowledge and skills in the woodwork. 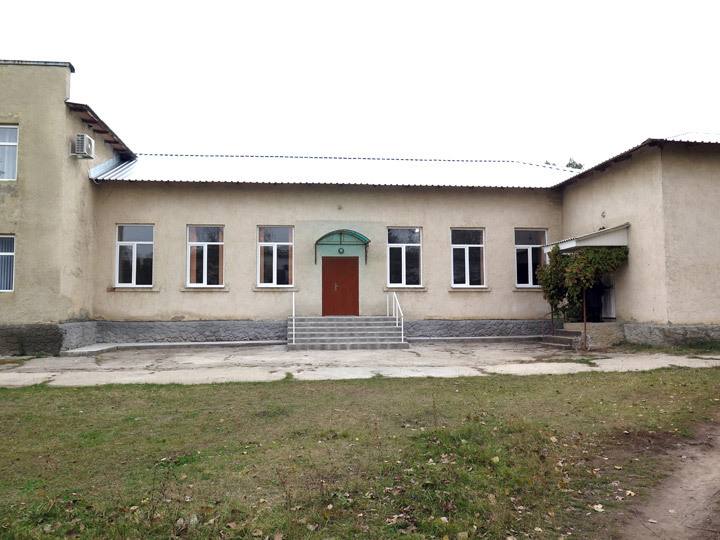 It is to mention that funded 16 day care centers for children financed by HCN, Evilard are functioning at the moment. This day care centers received children from needy, socially vulnerable families. The commonly known legend says that the St. Nicholas is on the way with his sleigh on the night of December 5th to 6th and fills the shoes and socks of children with small gifts and sweets. For the children from our children projects, this is not a legend. 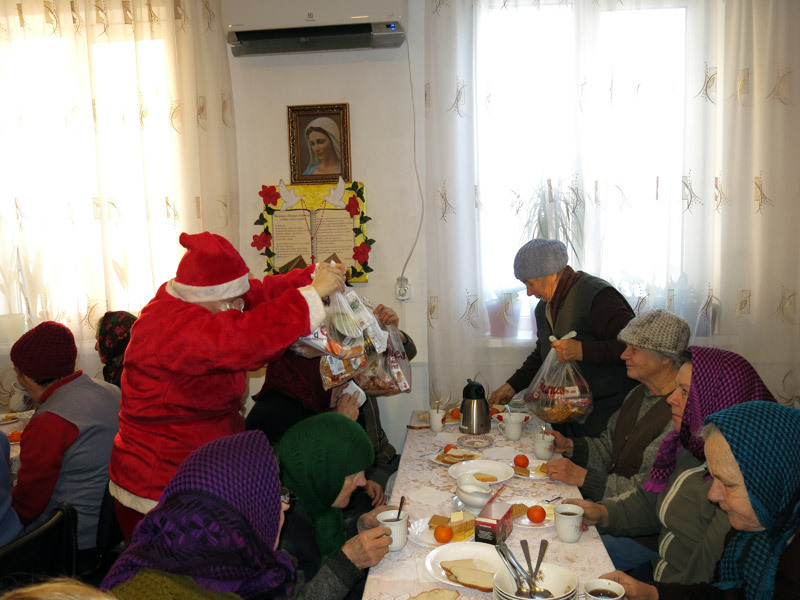 Children from needy, socially vulnerable families are surprised with sweet gifts every year. This time is very special for girls and boys. They are happy and satisfied. The parents are very grateful for this action, because they cannot afford to bring such joy to their children. The Christmas action included 919 children and was supported by Hilfswerk Liechtenstein, President Mrs. Beatrice Amann, Triesen. The contemplative Advent time has started. People prepare for the Holy Christmas night, when they may celebrate the coming of the Christ, the Savior. People go to Church every day and pray. So, the people from Grigorauca go very early in the morning to the daily Rorate mass. They fill their hearts with hope, love and faith. And then they get physical nourishment, so that they can continue their daily routine. They receive a full breakfast. 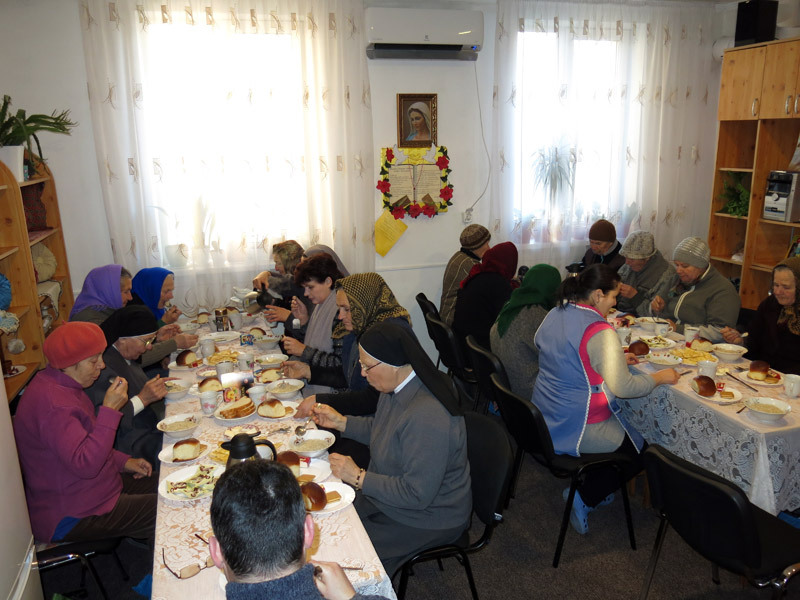 The local priest and the nuns participate in meal and meeting. Nicholas hasn’t forgotten the old people today. They received gifts during the Advent meeting. The action was supported by the priest Hans Bock, Regensburg. - Day care center for children “St. Maria”, Grigorauca. 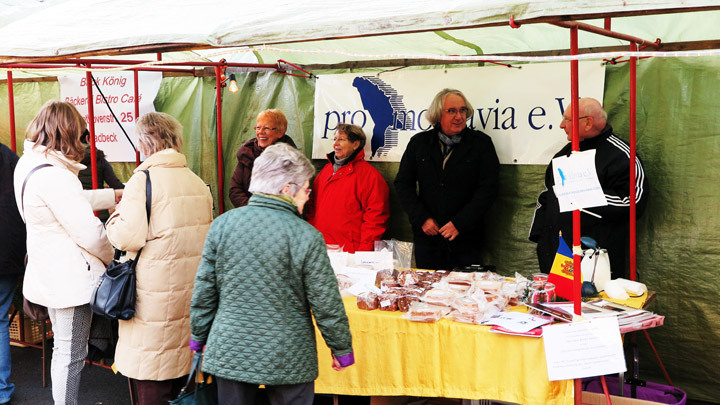 The German organization “Pro Moldavia e.V.”, Gladbeck organized a wonderful action in favor of the needy people from Moldova on November 25, 2016. 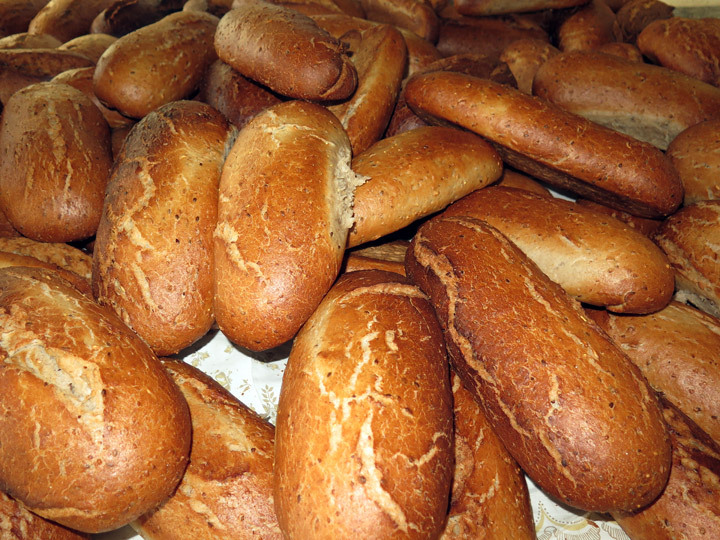 The action was under the motto “BREAD for the BREADLESS”. 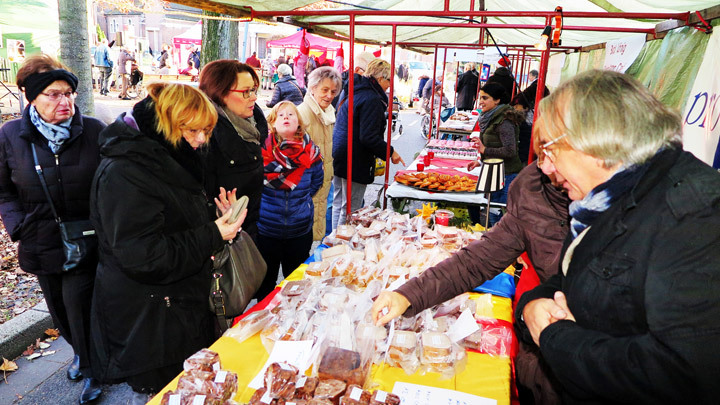 The women from the organization baked different types of bread and sold them at the Christmas market. The women bound wonderful hydrangea crowns, which were also sold at the Christmas market. The proceeds of these two actions are destined to support the poor people from Moldova and will be realized through PRO UMANITAS. 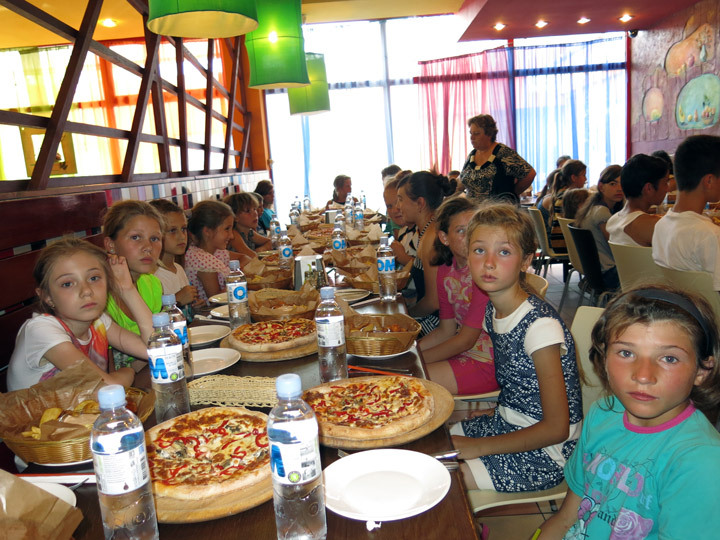 The children from our day care centers BUNVOLENTIA had great pleasure. They received winter shoes. These kids have little financial options. Often the parents cannot afford supplying their children with the essential needs. With this gift, children are protected from cold. The parents are very grateful and the boys and girls are very happy. The action was supported by Help for Children in Need (HCN), Evilard. A great action took place in Grigorauca on Friday, November 18th, 2016. 130 poorest children of the village received wonderful gifts – new warm winter shoes. 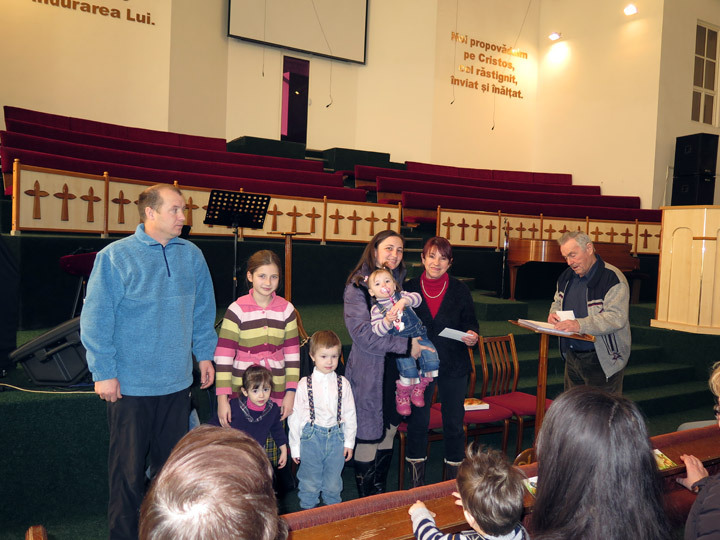 The children are very happy and the parents are very grateful. Not all parents afford to buy warm shoes. There are cases, when children stay at home in winter, because they have no shoes to go to school. Now, these children can attend school without a risk to fall ill. 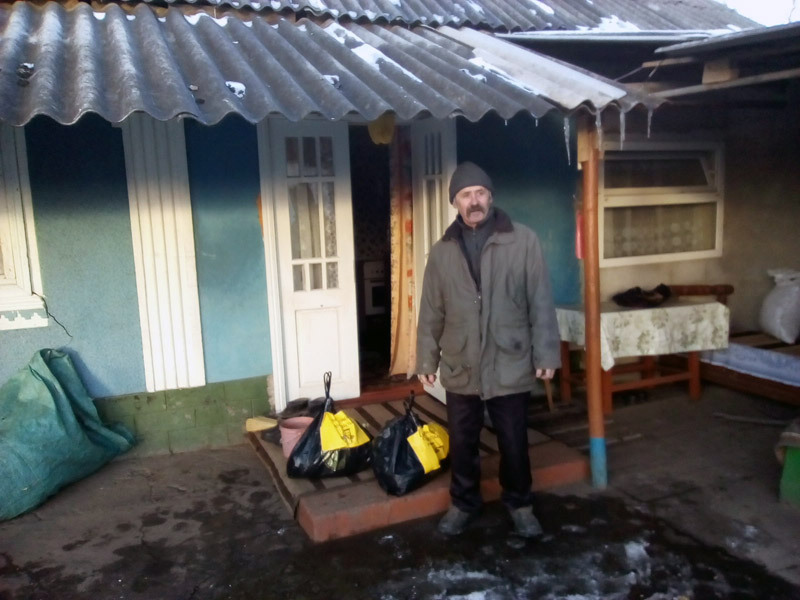 The living conditions of many families and old people in Moldova are very difficult. Besides the usual expenses for food, utility rates, clothing, medicines and others they have to support the expenditure for wood and coal. These costs are too high. 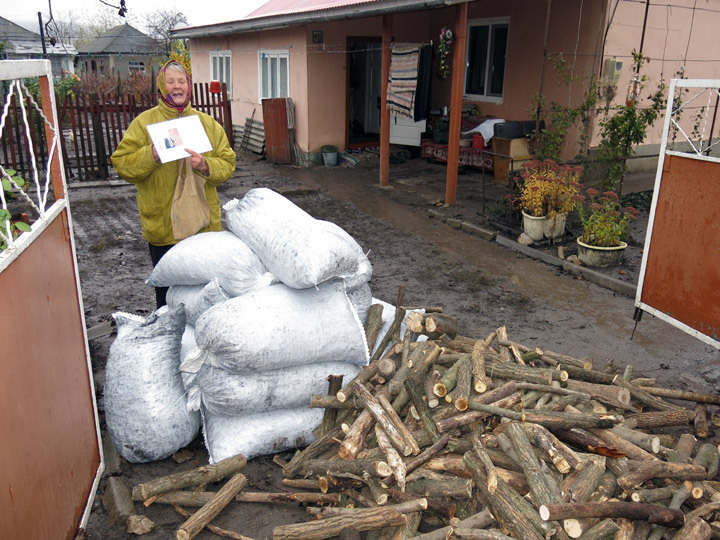 Many people cannot afford it and freeze in the cold period. 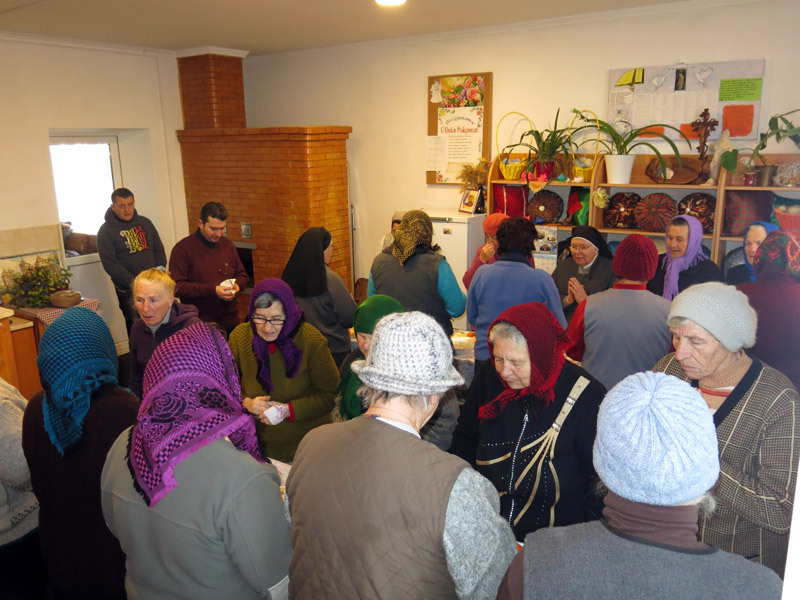 With the help of the priest Hans Bock, Regensburg we could bring the warmth in the houses of 34 poorest families and old people from Grigorauca. They are very grateful for that. 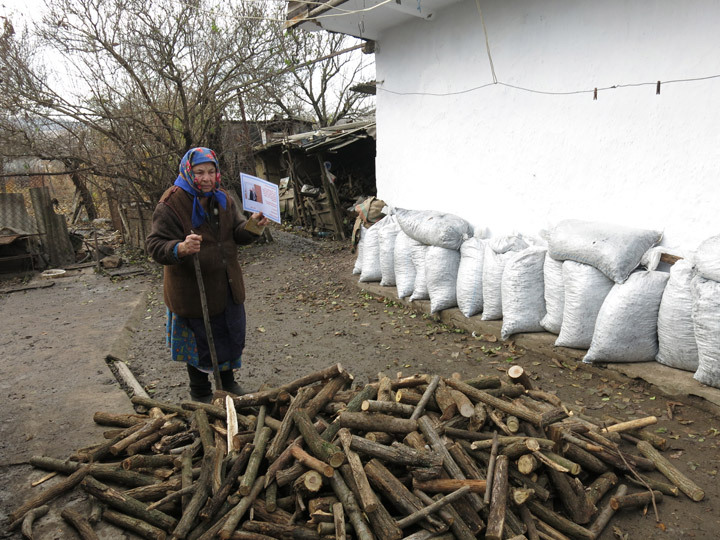 A ton of coal and an m3 of wood were purchased for each family. 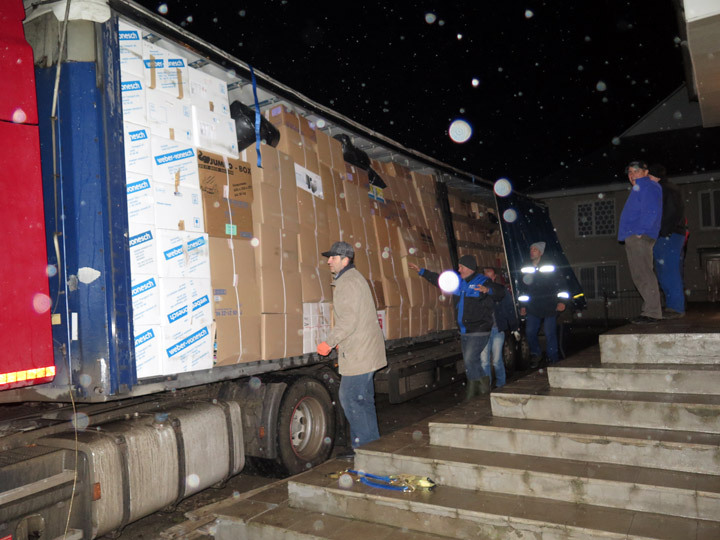 The next transport with humanitarian aid from Liechtenstein arrived in Moldova on November 8, 2016. The President of Hilfswerk Liechtenstein, Mrs. Beatrice Amann, collects carefully clothes, fabric, furniture, technique, bed linen, woolen blankets etc. and delivers them in our country. There were brought over 11 t of humanitarian goods to the beneficiaries. Among them were 650 big boxes with clothes for adults and children over three years of age. Hundreds of people in need will receive good warm sweaters, pants, jackets, etc. 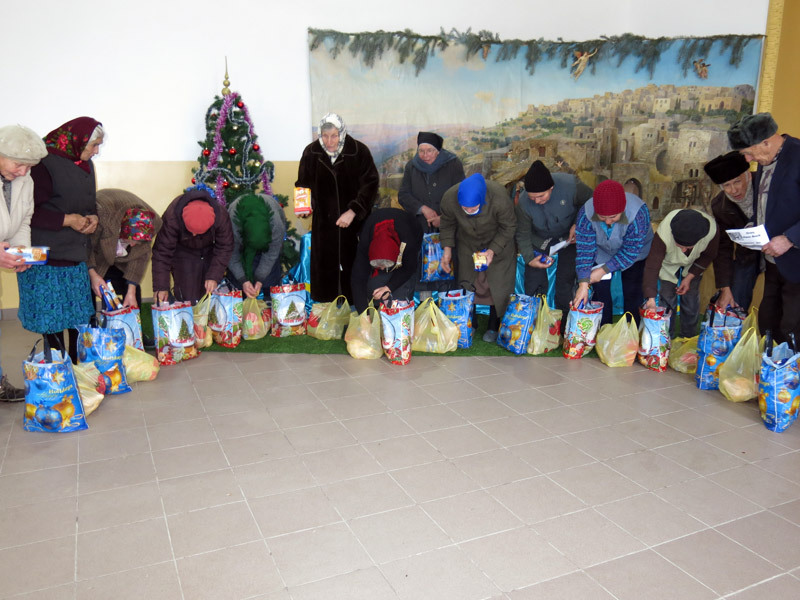 These goods provided greatest pleasure to the children from the day care centers BUNVOLENTIA, the old people from the day care centers for elderly and many poor families from Grigorauca, Gangura, Alexandrovca and Misovca. 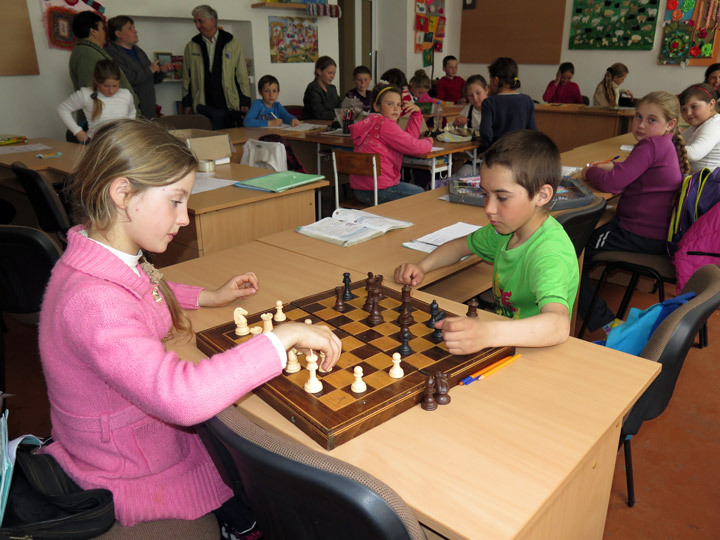 The village Grigorauca, district Singerei offers to children and young people few possibilities for a productive pastime. 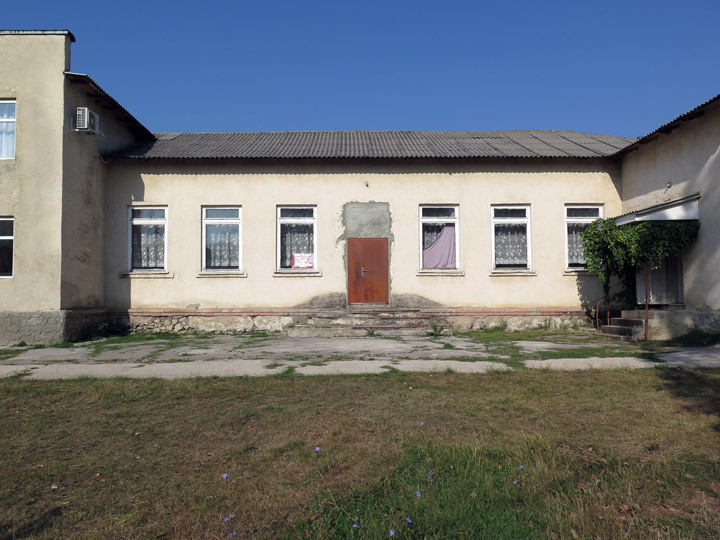 A day care center for 130 children in need (financed by “Menschen helfen e.V.”, Seehausen) works in the village. The center was established partly in the town hall, partly in the creation center. 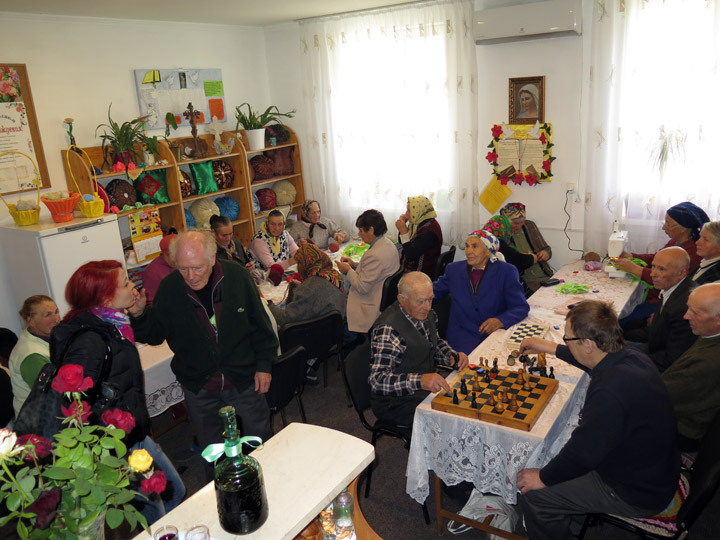 It is to mention that the day care center for elderly “Sf. Petru” (financed by HCN, Evilard) functions in the creation center. The creation center has a large room, where various cultural and social activities are organized. This room is often used for our projects. 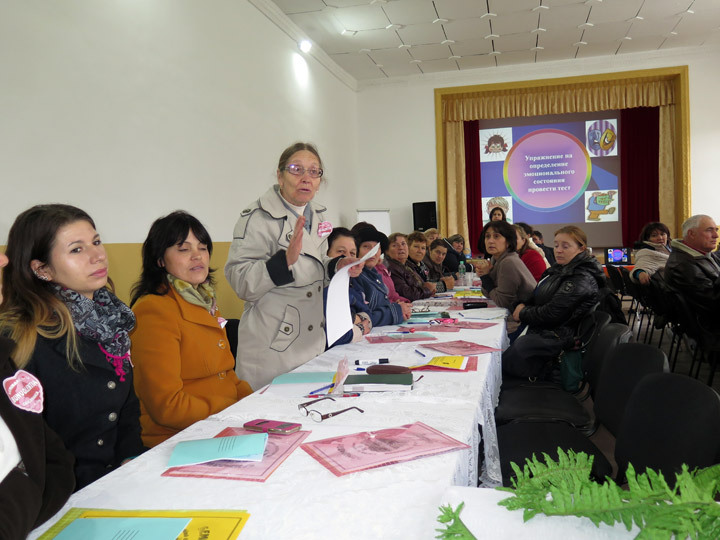 Our seminars for coordinators and educators of the day care centers are held there. Our children dance and sing for the villagers, for old people, and for sponsors, when they come on visit. But this room was in a very poor condition. We could totally repair it, build a new stage, install new windows, and make a new power supply system. A locker room was repaired. These works were supported by Hilfswerk Liechtenstein, President Mrs. Beatrice Amann, Triesen. The children are those who are overjoyed. 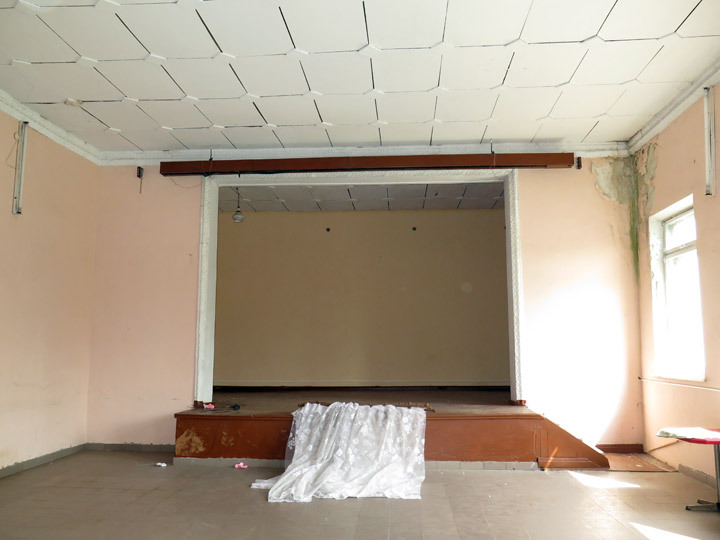 They have now a beautiful space, where they may present their dances, songs and theatrical performances. Sarata-Galbena is a commune in the southern part of the country. 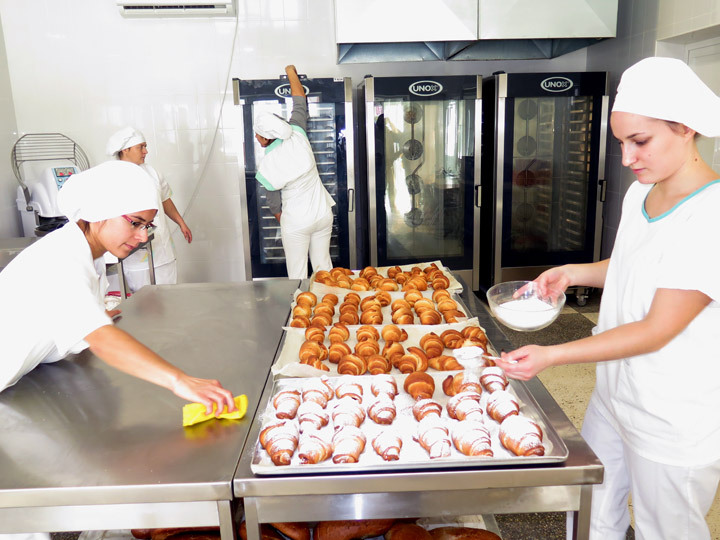 A bakery was established there last year, that supplies the social projects of the local Pentecostal Church and poor families with fresh bread. 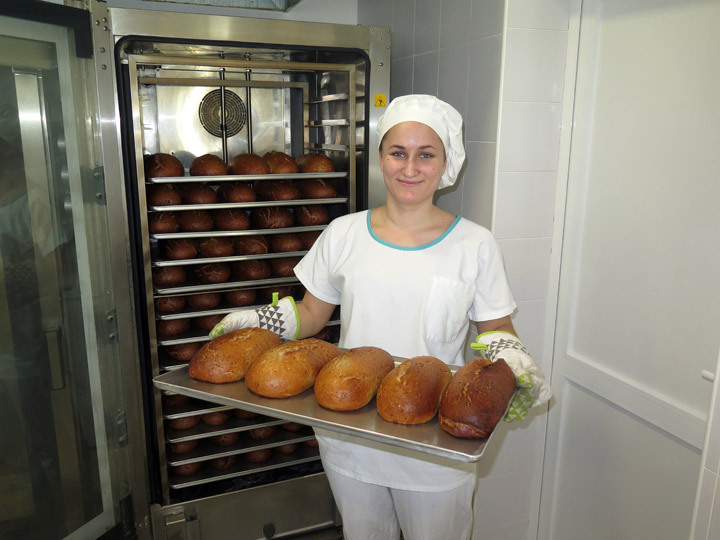 400 breads per day are baked and distributed free of charge from Monday to Friday. 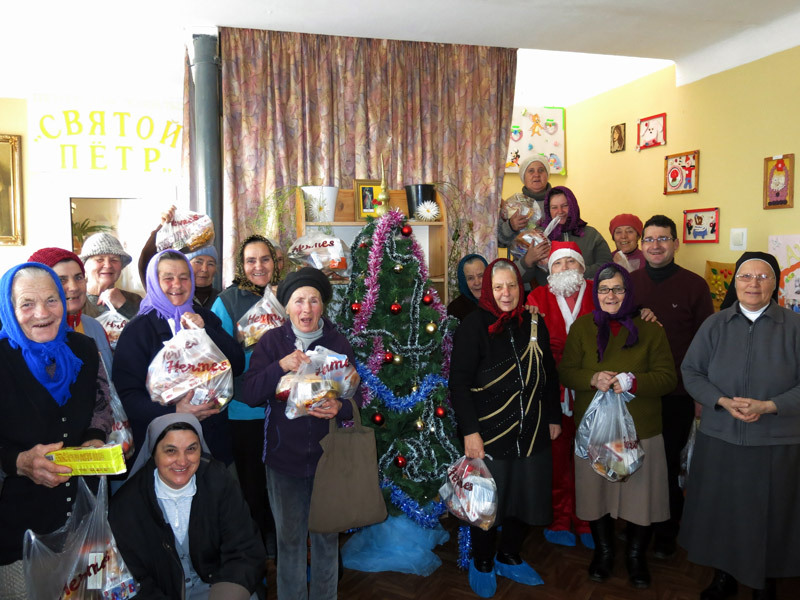 The beneficiaries of the project are: the Christian Centre Sarepta, the center for children, the soup kitchen, the old people’s home and the poor families of Sarata Galbena and three nearby villages. 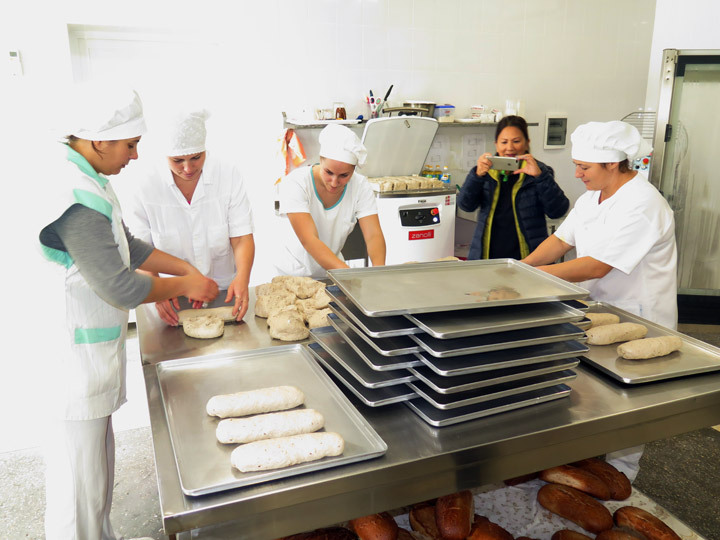 The repair and equipment of the bakery was accomplished by PRO UMANITAS through “Help for Children in Need”, Evilard. 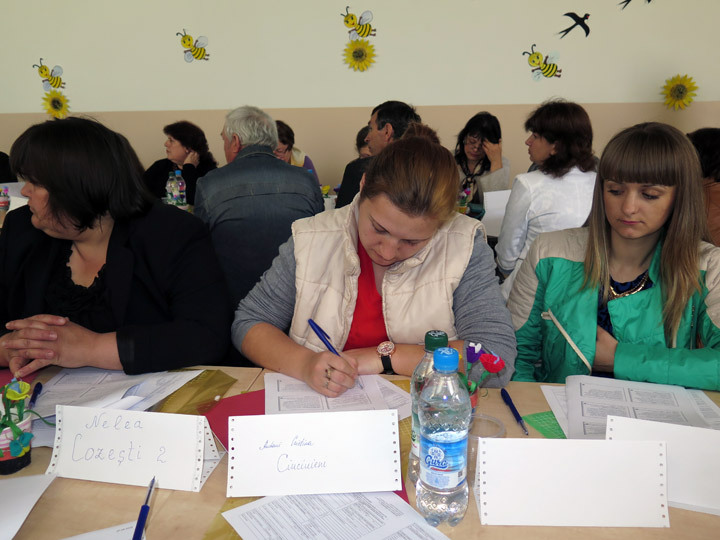 The 18th seminar for the coordinators and educators of all 16 day care centers for children BUNVOLENTIA and the day care center “St. 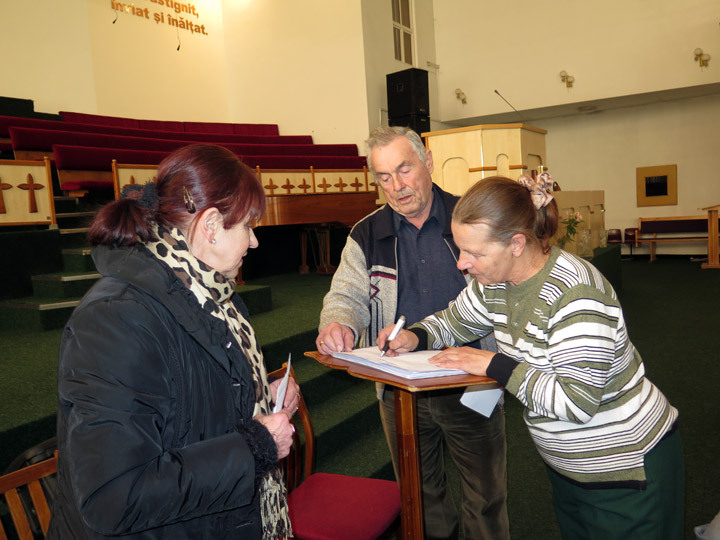 Maria” was held in the village Grigorauca, district Singerei on October 22, 2016. It was a wonderful meeting, in which 67 people participated. The seminar consisted of three parts. The first part was led by Mrs. Pasa Svetlana, our coordinator of the regional office Singerei. She showed a presentation on topic “Partnership cooperation – the most important condition for the efficiency of our projects. Educational exhaustion“. The attendees were asked to participate in various exercises. In the second part, the educators could talk about their problems and wishes. The third part prepared a surprise for the guests of the seminar. The children of the day care center “St. 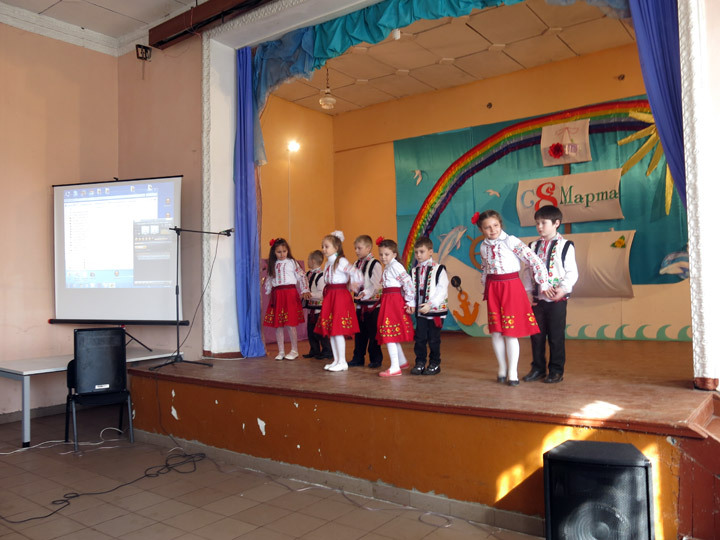 Maria” organized a concert with dances and theatrical performances. 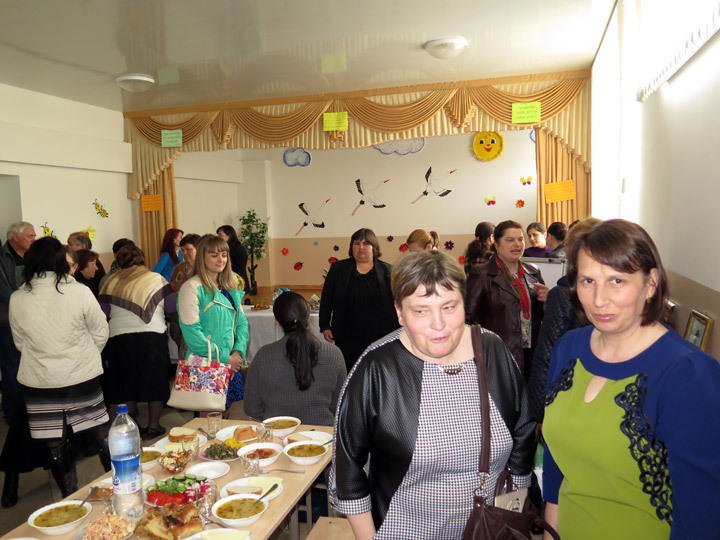 At the same time, a seminar for the accountants and a seminar for the cooks of the day care centers took place. Mr. Peter Garst, the President of “Help for Children in Need” (HCN), Evilard and Mr. Edwin Hollenstein, the Vice-president of HCN were present at the seminar. Mr. Peter Garst, President of HCN and Mr. Edwin Hollenstein, Vice-president of HCN visited Moldova from October 20 till October 26, 2016. For Mr. Garst it was the 28th trip to our country. 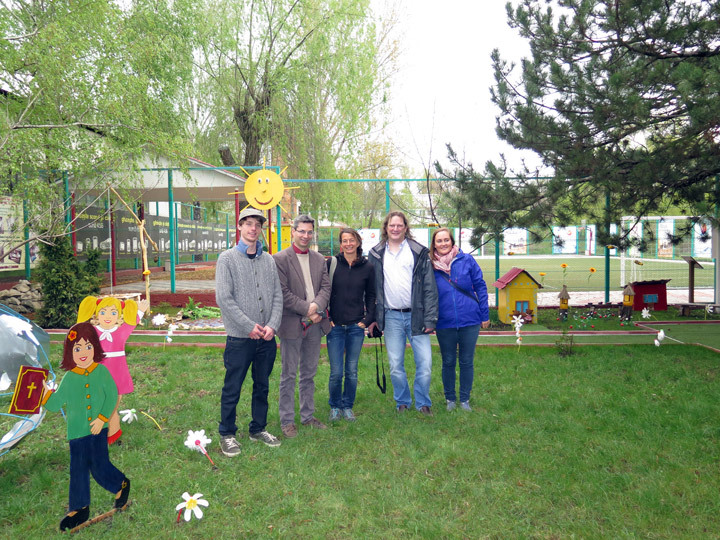 Mr. Garst and Mr. Hollenstein could visit almost all current projects of HCN: 15 day care centers for children BUNVOLENTIA, two day centers for elderly, sponsored families in Grigorauca and the bakery in Sarata-Galbena, the center for severely disabled children in Singerei. 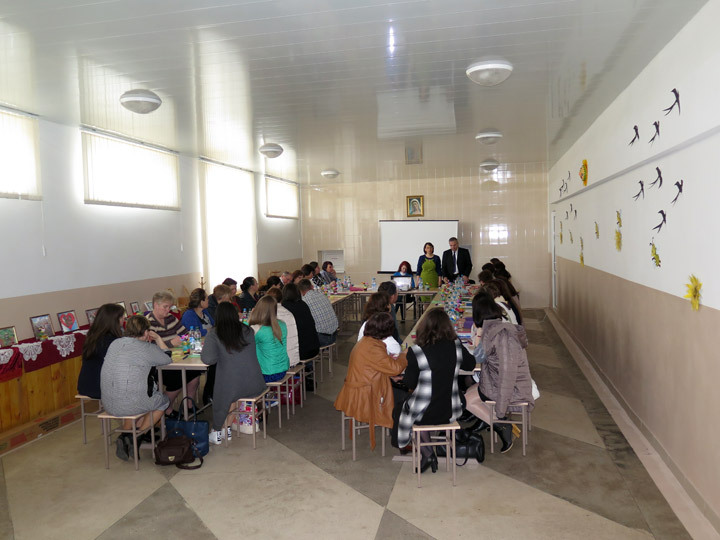 They also attended the 18th seminar for coordinators and educators of the day care centers BUNVOLENTIA. Our guests were received everywhere with joy and many handmade presents. 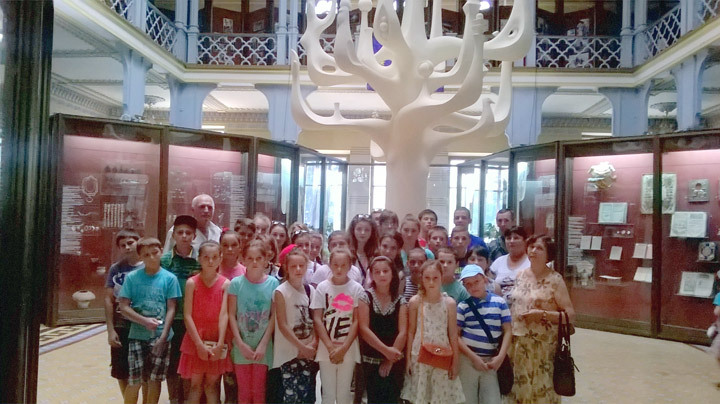 The children and old people had much pleasure in the visit. Mr. Garst and Mr. Hollenstein could hold nice conversations with them and convince themselves of the need for these projects. A good study is a first step towards a successful professional life. 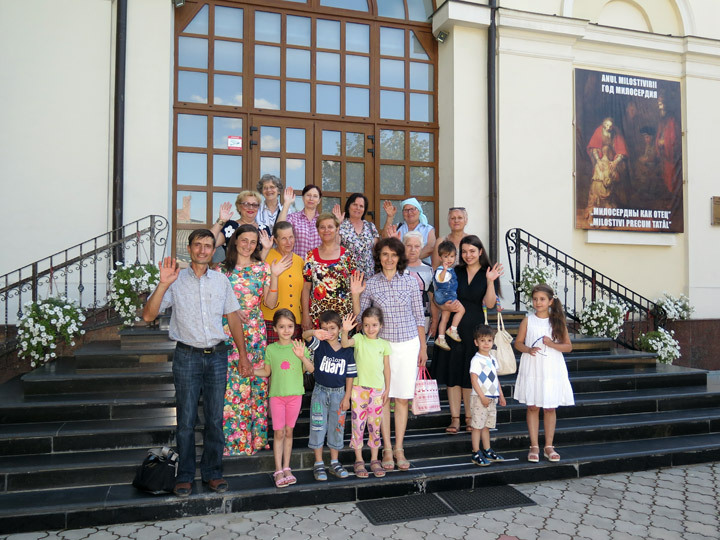 Studies at an university are very expensive for many families from Moldova. This is why many young people renounce an education. The Bursary Program allows us to support the studies of 50 students from needy families. The project is financed by Solon Foundation / Luzern. 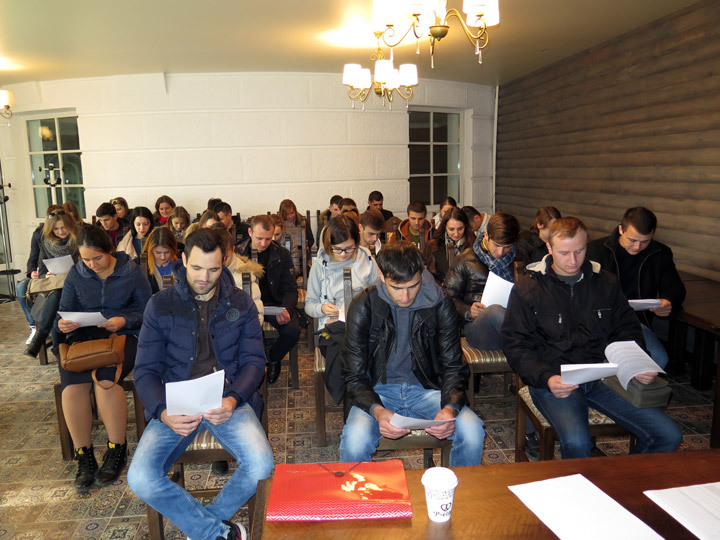 The traditional student meeting took place on October 15, 2016. Our students could talk to each other and express on paper their thanks to Solon Foundation. In addition they signed a contract with PRO UMANITAS. Mrs. and Mr. Helen and Gerry Zühlke as representatives of Rotary Clubs Zug-Kolin visited their projects in the commune Gangura. Zühlke family was accompanied by Schnyder family. They were received with great joy in kindergarten from Gangura. The little ones prepared beautiful dances, for which they received sweet presents. 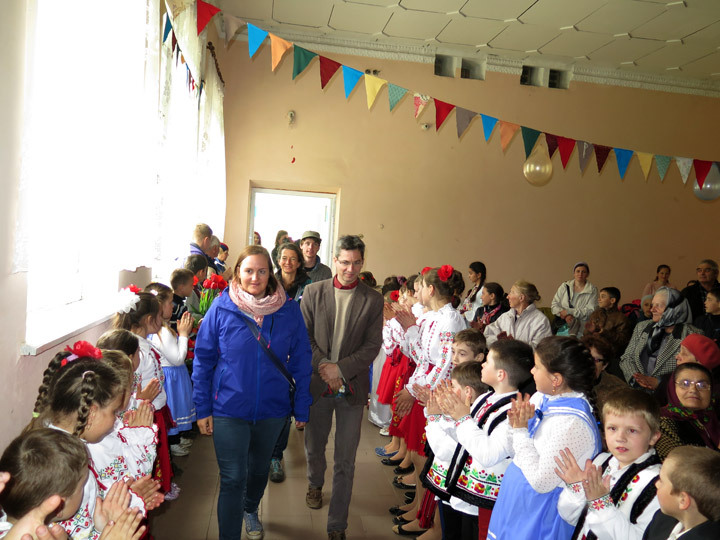 Zühlke family and Schnyder family visited the children from two day care centers in the school of Gangura, and after that those from two day care centers in the school of Misovca. 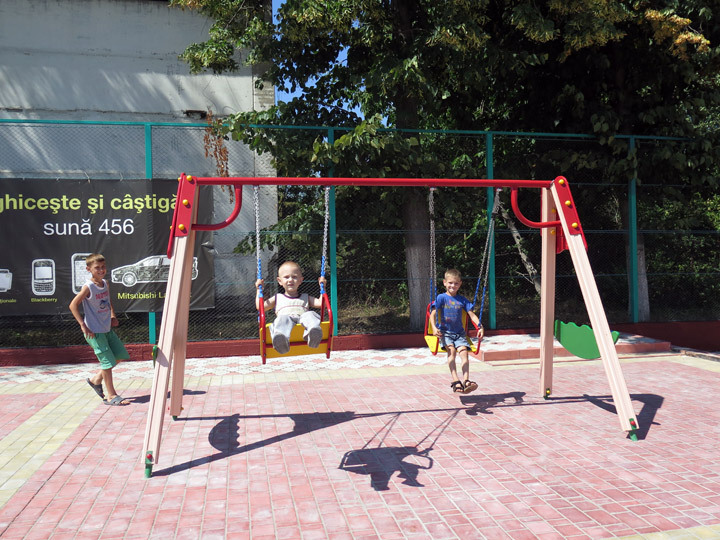 Rotary Club Zug-Kolin finances through HCN the running costs of the day care center for children BUNVOLENTIA Misovca. The guests were surprised with a concert. They were received warmly everywhere. 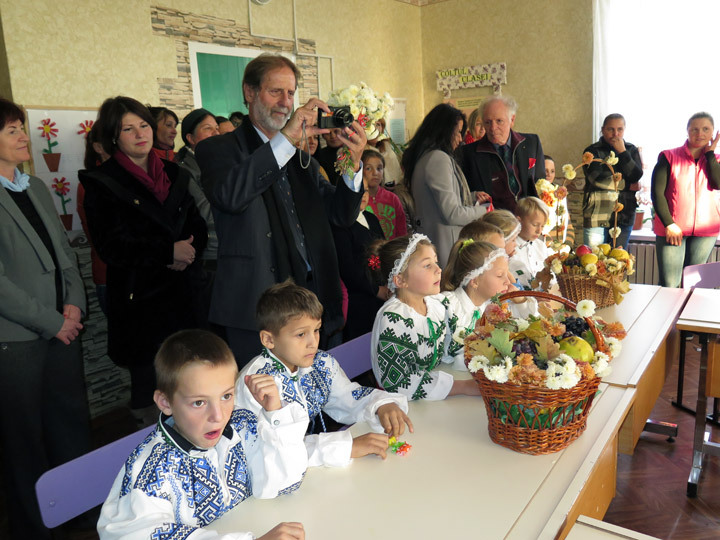 The children presented them with handmade works. 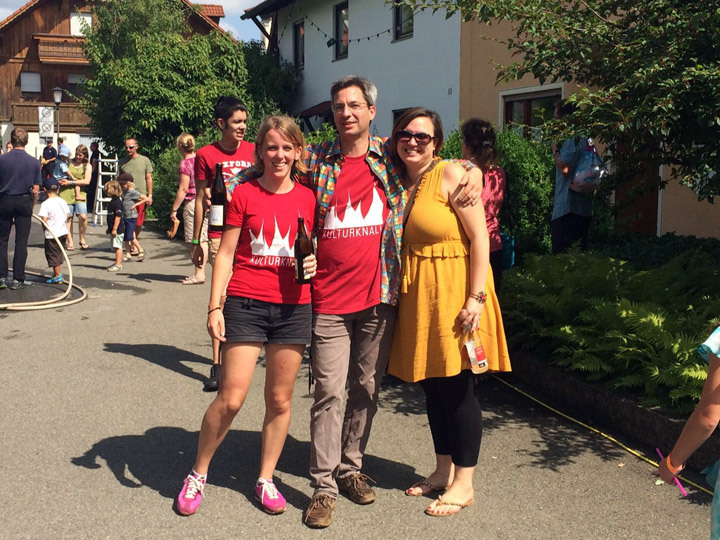 Zühlke family and Schnyder family were impressed by children’s performance. Of course our guests came with suitcases full of gifts. They are planning now a great surprise for children and old people for Christmas. 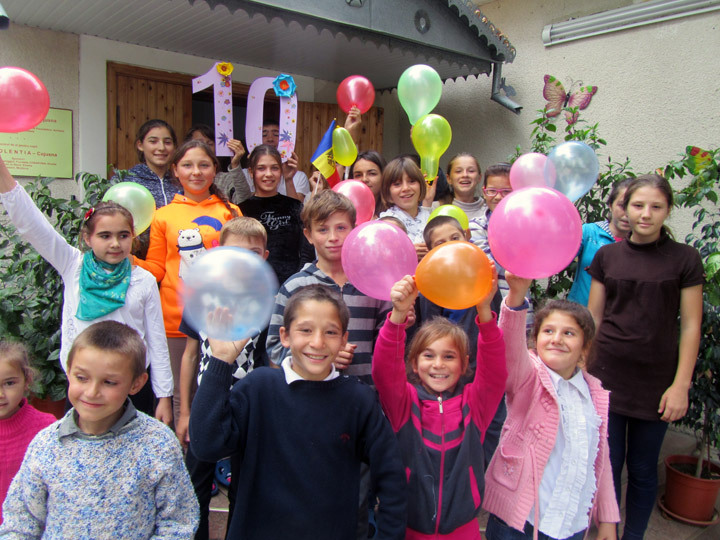 The day care center for children BUNVOLENTIA Cojusna was opened ten years ago in the village Cojusna, district Straseni. It was a great and important event for the whole community. A children’s home of familial type for seven children and a day care center for 20 children worked successfully for three years. In 2009 the structure of the project changed. The children’s home of familial type was dissolved. Instead, the day care center received 40 needy, socially vulnerable children. 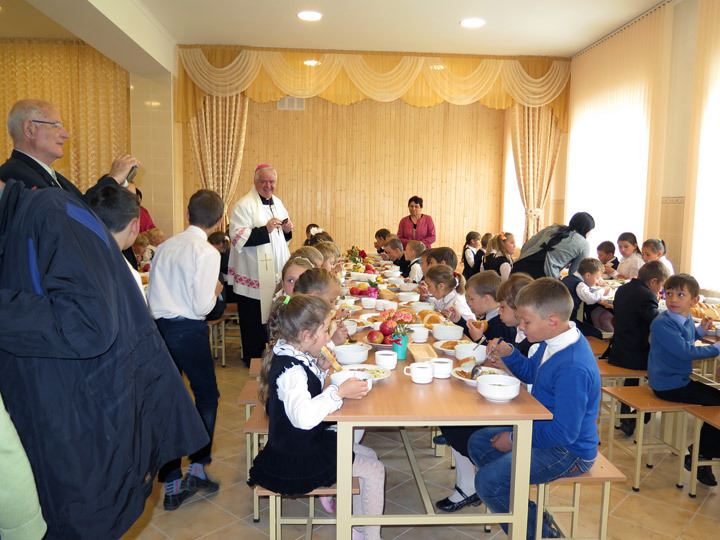 Since then, the center offers healthy meals, good occupation, education and support for poor children of the community. 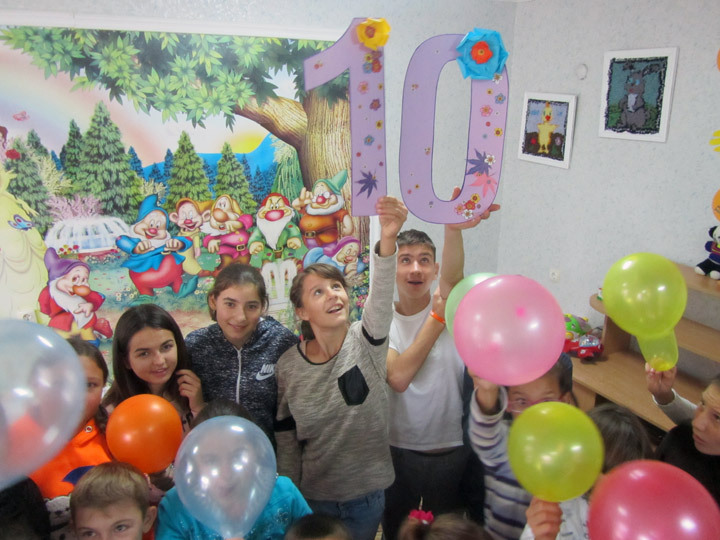 The day care center is celebrating its 10th anniversary now. There are ten years of successful activity that changes the lives of many children and creates a better future for them. The Haenggeli family finances the running costs of the center trough “Help for Children in Need” for 10 years. 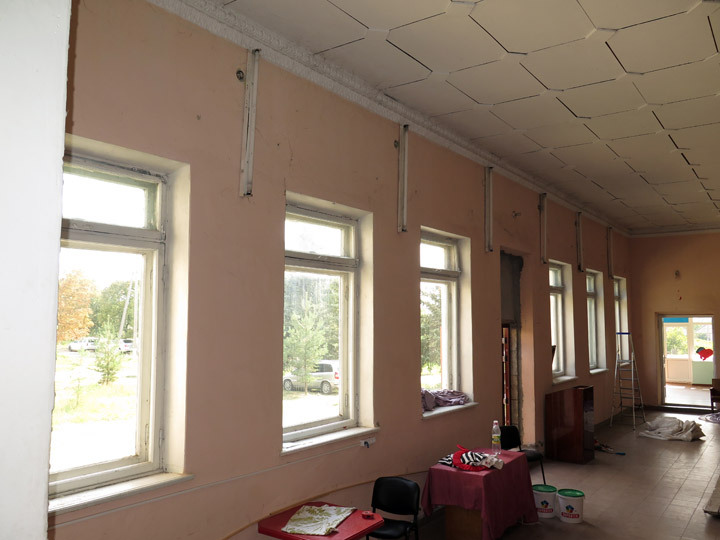 At the beginning, it also supported the repair works and the equipment of the building, where the project develops. The children, who visit the day care center “St. Maria” from Grigorauca, were surprised with a newly repaired volleyball/basketball court at the beginning of the school year. This court was covered with plastic, which was damaged with time. The children did not play volleyball or basketball, because they could hurt themselves. It is hard to describe, how great was the joy of the boys and girls, when the repair works of the court were completed. 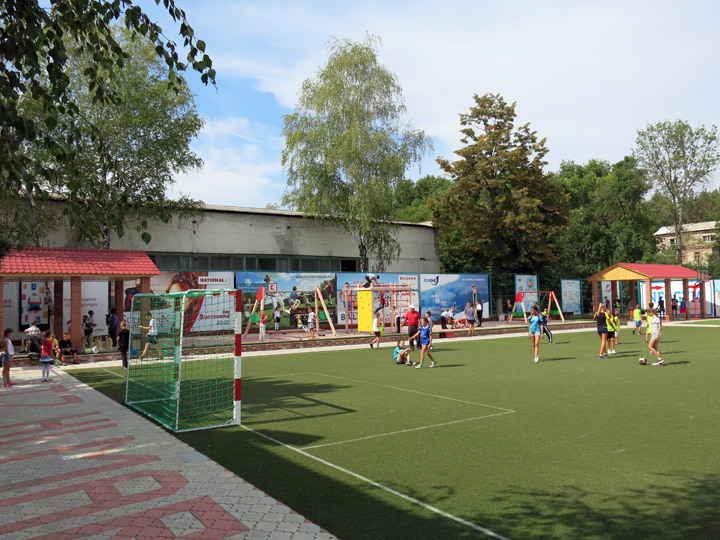 The volleyball/basketball court was covered with artificial grass. These works were financed by “Menschen Helfen e.V.“, President Dr. Robert Roithmeier. 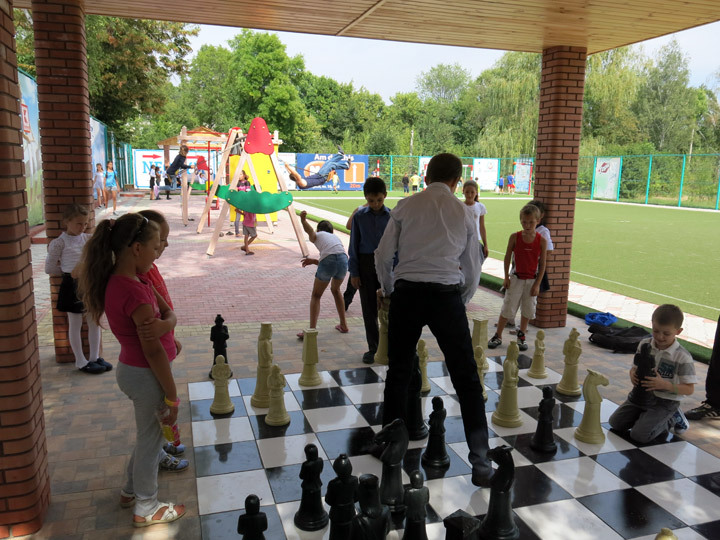 PRO UMANITAS also carried out the works on the repair of the playground. The small children are enjoying now the play, the swing, the climbing. The chess field was also repaired. 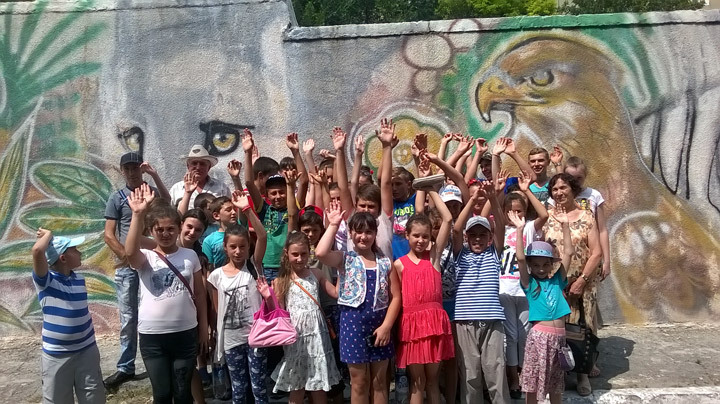 The summer camp for needy children that attend the day care centers BUNVOLENTIA continued. The children of the day care centers from the district Ialoveni (4 centers) were overwhelmed when they could watch a 3D-cartoon in a cinema from the capital. They also visited a museum, the zoo, and played in the park. 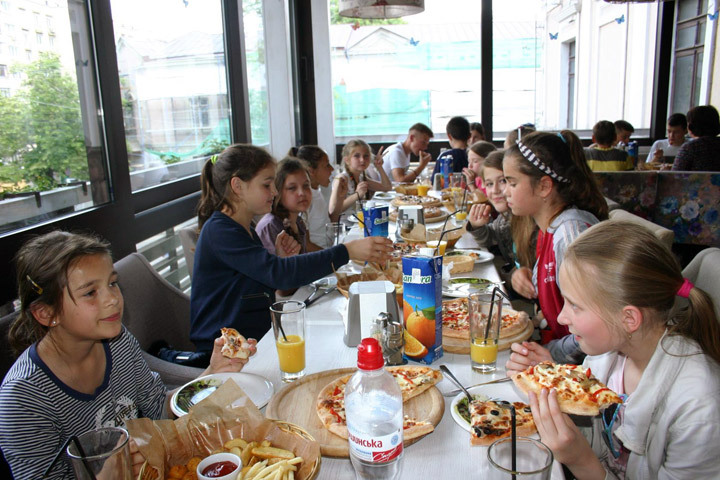 A delicious lunch was waiting for the children at a pizzeria. The joy of the children is hard to describe. They do not have such opportunities. This is why they are very grateful and happy. 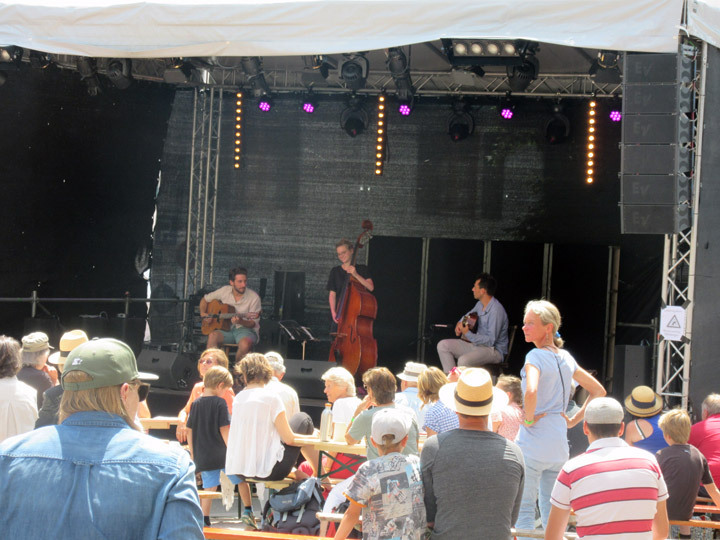 The benefit festival kultURKNALL is organized annually by the organization „Menschen helfen e.V.“. 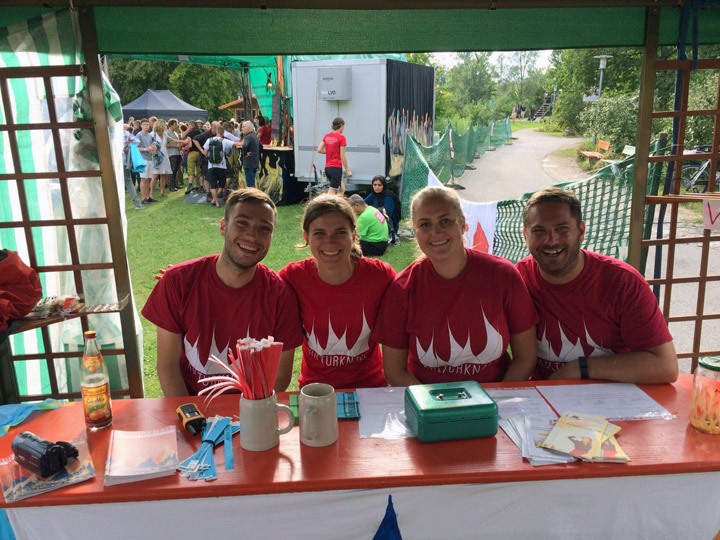 It took place between 23.07 and 24.07.2016 in Murnau am Staffelsee. The fires on the market square, which were periodically started since about 1330 up to 1851, were the theme of the festival this year. All decorations reminded of flames, the theatre performances showed the former events, beautiful instrumental music echoed from the stage, bands and singers delighted the guests. A children's program was prepared, among others the fire brigade participated, showing the kids how to put out a fire. There was a wonderful atmosphere. The volunteers of the organization did everything with love. 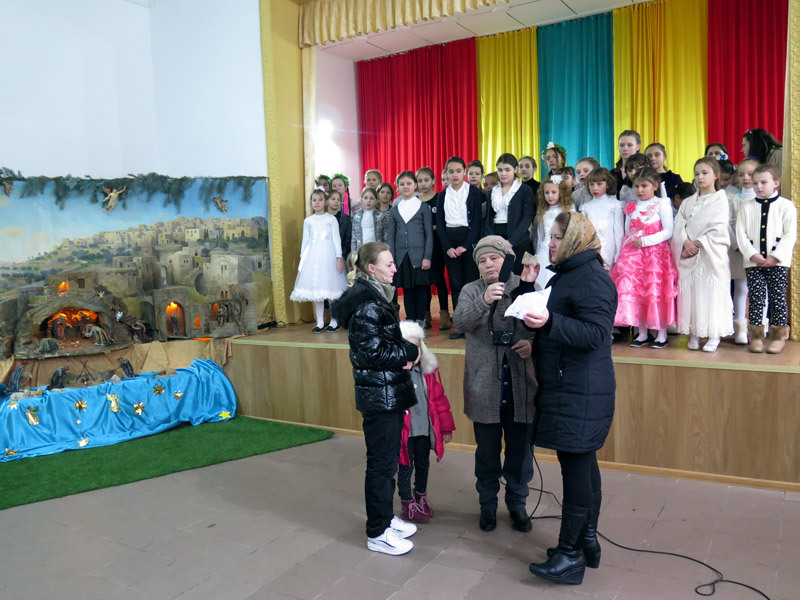 The funds collected from the festival are for the benefit of the children from the day care center „Saint Maria“ in Grigorauca. Unfortunately Mrs. Ursula Honeck, President of „Hilfe für Osteuropa e.V.“, Todtnau could not visit our country this summer. 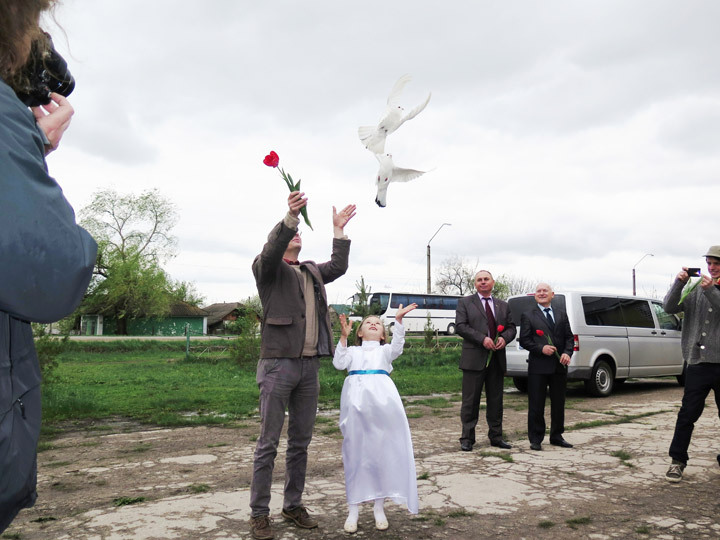 Nevertheless, she made everything possible, so that her sponsored families could receive the usual financial support from their donators from Germany. A beautiful meeting with the supported families took place yesterday, on July 12. They were very grateful for the provided help. The summer holidays are by children with great joy expected times. They have no school and more time for their favorite activities. 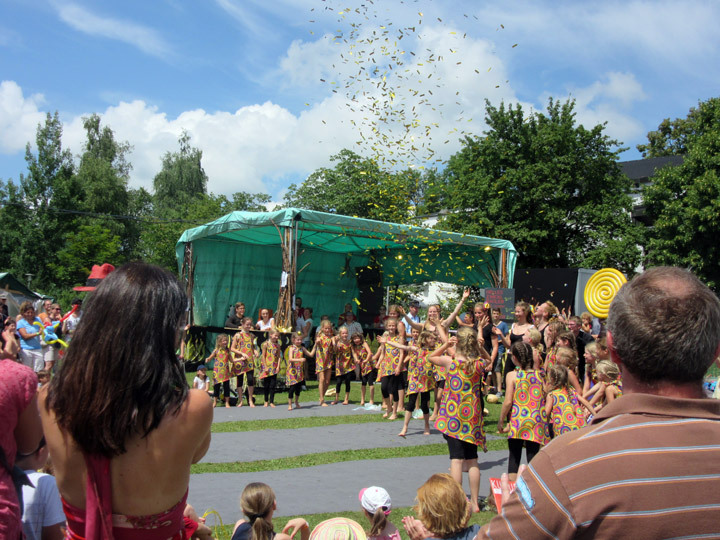 For children from the day care centers BUNVOLENTIA are these special events, when summer camps begin. Children from needy, socially weak families experience great days. They make excursions, enjoy a good time and have fun. 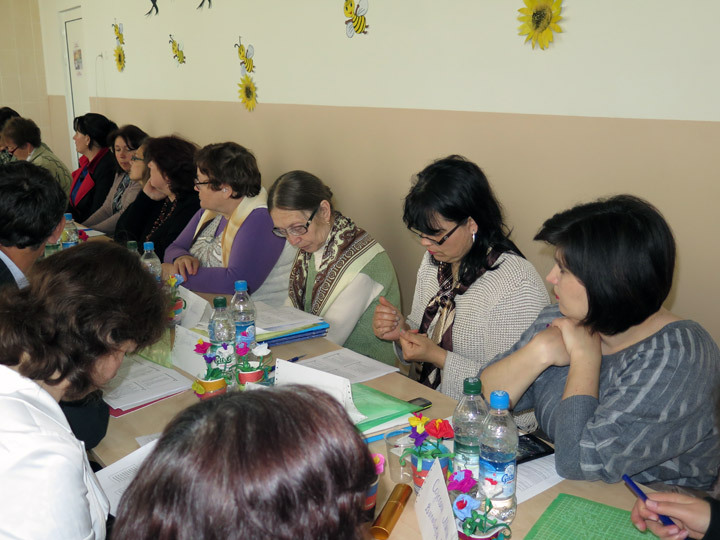 The first day care centers, which make a trip to Chisinau, are those from the district Singerei (11 day care centers). 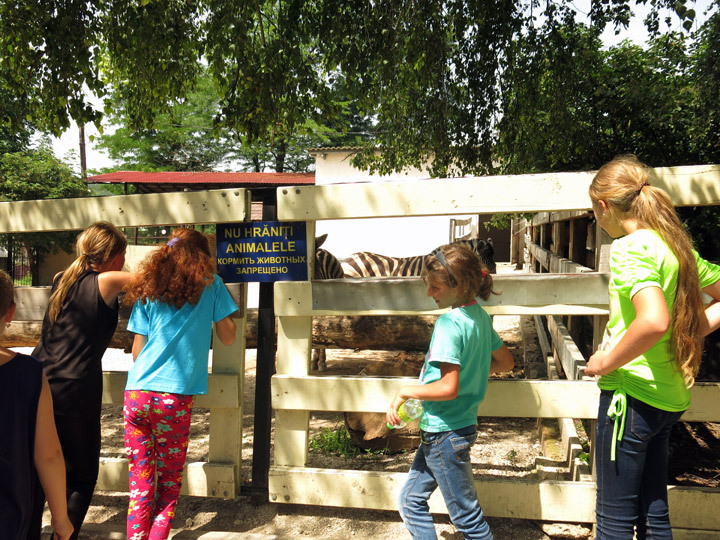 They visit the zoo and are very impressed by many animals, birds, monkeys, cats, snakes and many others. They also play in an amusement park and have a delicious lunch in a pizzeria. The children are very happy and excited by what they see and experience. Most of them were for the first time in the capital and in the zoo. This action is supported by “Help for Children in Need” from Switzerland. 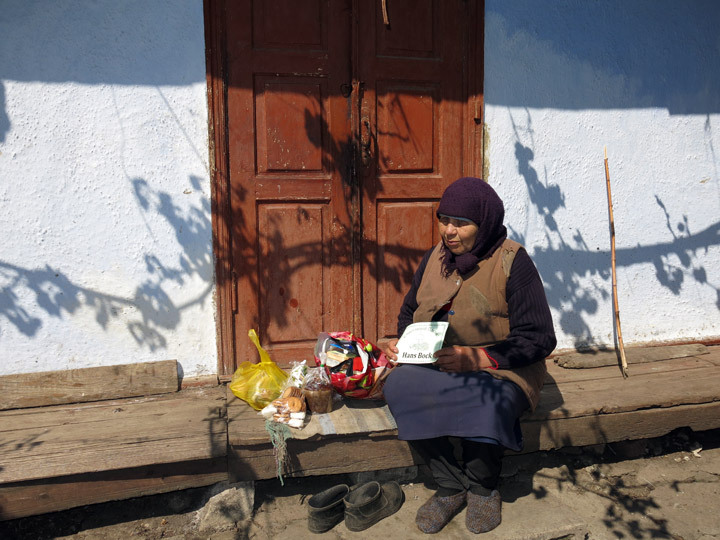 Volcovschii family is a needy family from the village Gangura. The parents raise three children: a daughter and two sons. The financial situation of the family is difficult. The mother does not work. She takes care of her children at home. The father has only an occasional job. The family had a big problem: the daughter, Mihaela (13 years old), needed urgently an eye surgery. 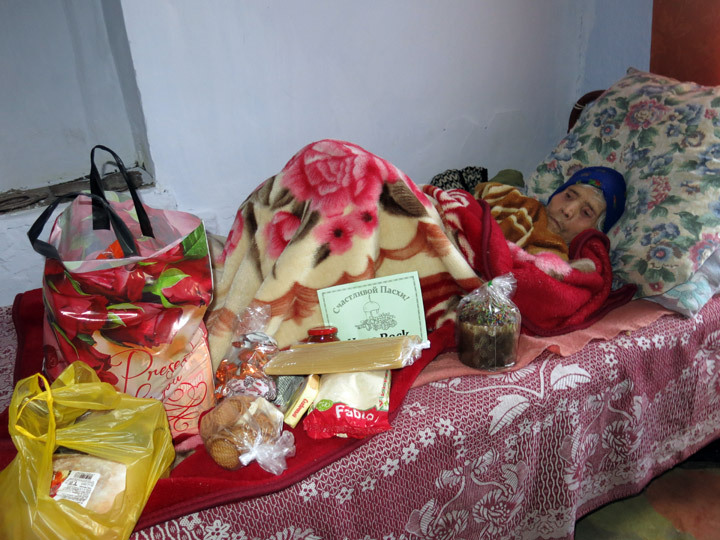 The health problem of the girl appeared with four years and it kept getting worse each year. They could not afford such costs. With the support of “Menschen helfen e.V.”, Mihaela was operated on May 18, 2016. This operation was successful. The girl feels very well and is happy. 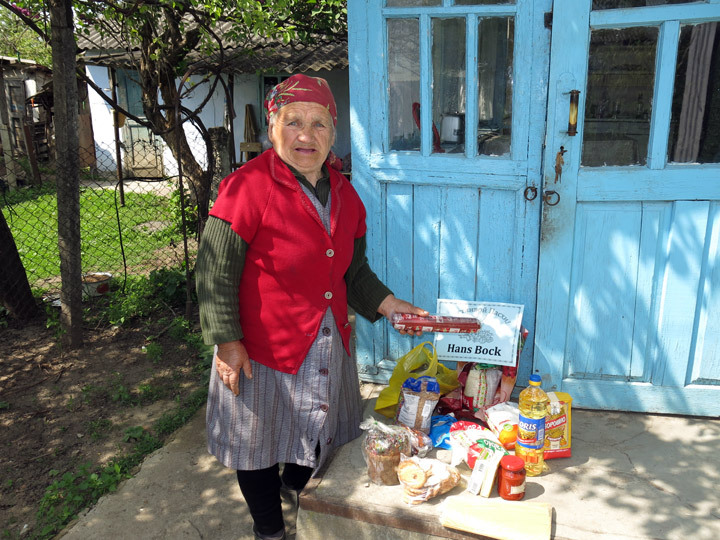 Mihaela and her parents are very grateful for the provided help. 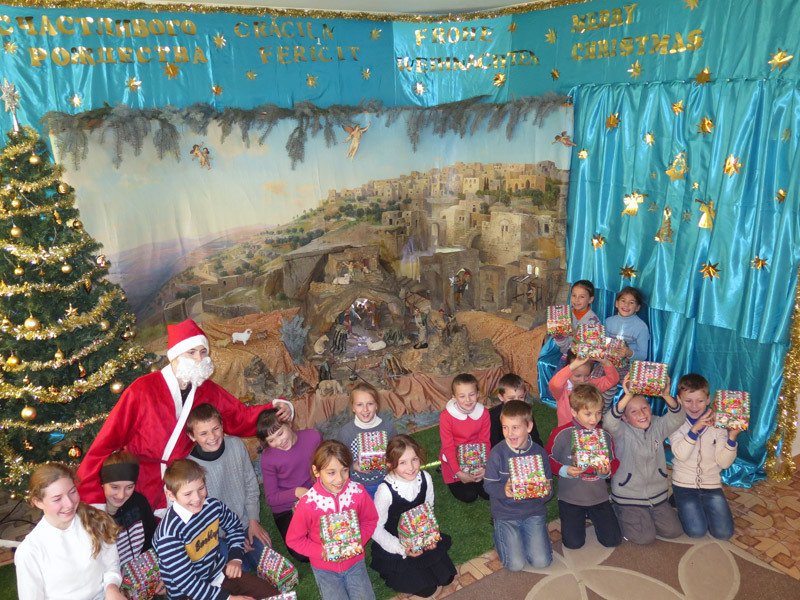 This weekend brought great joy to the children, who visit the day care center for children “St. Maria” from Grigorauca. 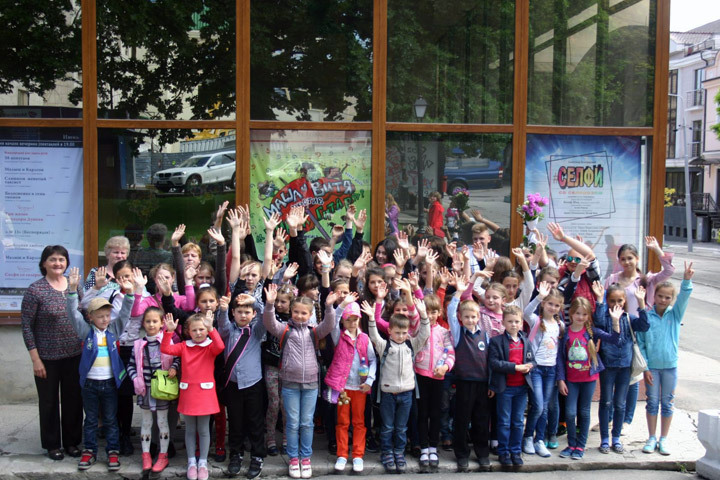 They had the opportunity to watch a theater play in Chisinau, the capital. Their joy was even greater, because they could see their fellow villager on stage. 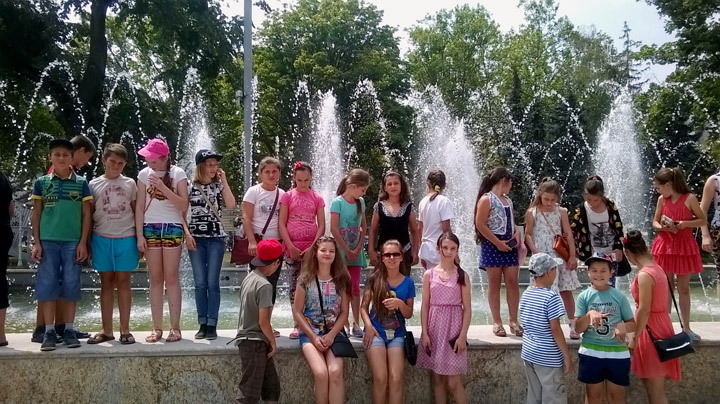 After a delicious lunch in a pizzeria, the children strolled about the capital, visited the Orthodox Cathedral, the parks in the city center and other sightseeing. The kids were very impressed by all experiences. This action was supported by the German organization “Menschen helfen e.V.”. 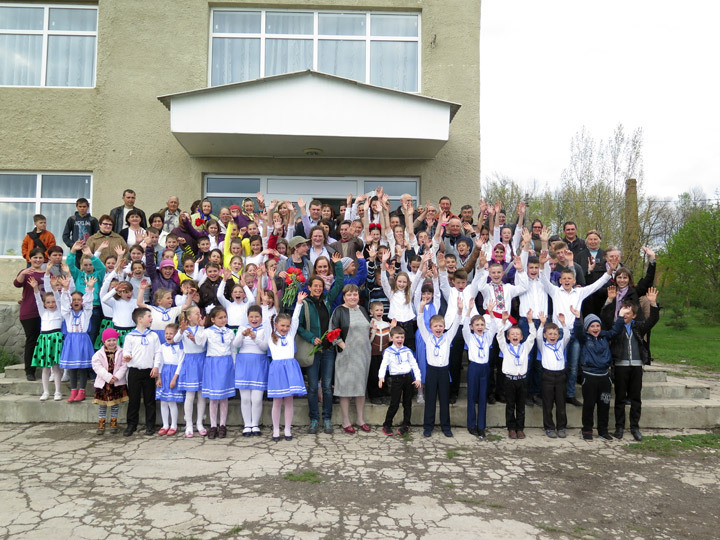 There was great joy in the village Grigorauca. 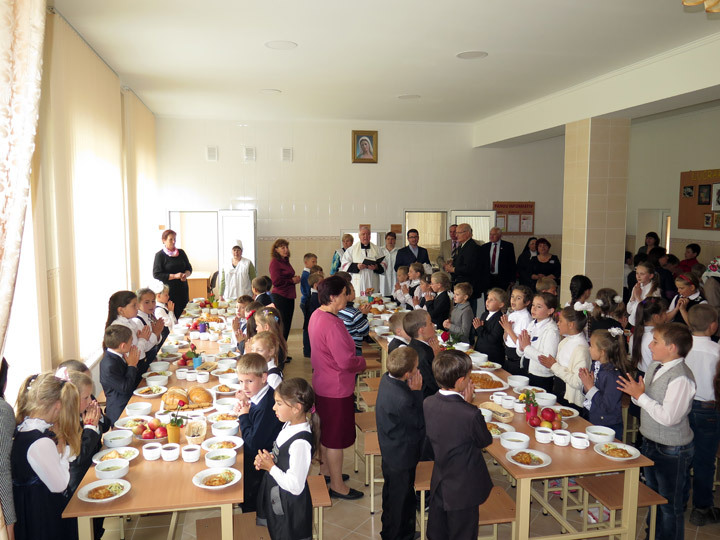 Children could receive the first lunch in the newly renovated dining-hall on May 25, 2016. The food was prepared in a modern, clean, hygienic kitchen wing. The official opening and inauguration of the project took place on that day too. 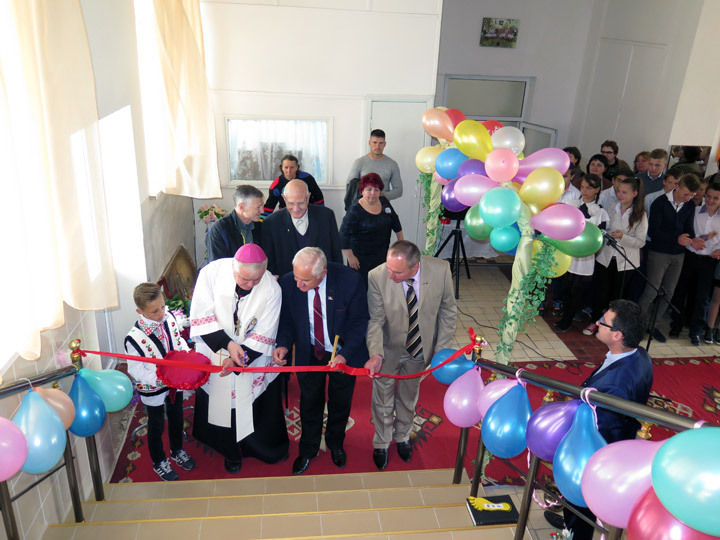 The Moldavian Bishop, Anton Cosa, gave his blessing to all present. 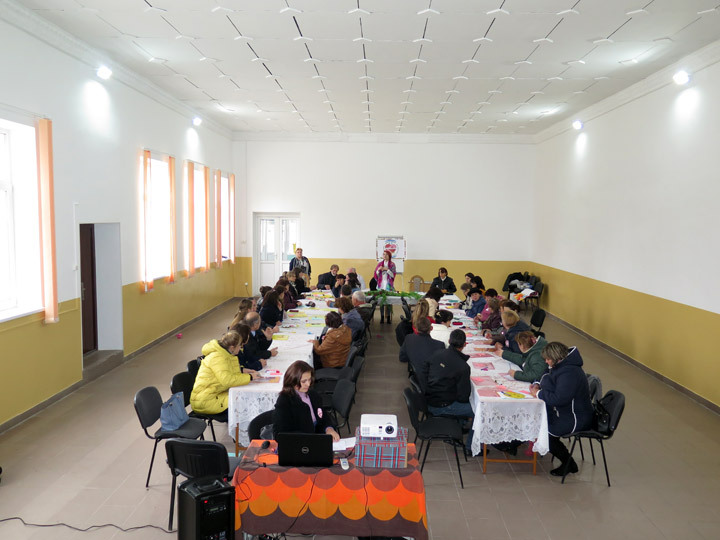 The event was attended by guests from Germany, as well as by the President of the District Singerei and the Mayor of Grigorauca. The children were very happy. They organized a short cultural program for the guests. The repairs lasted three months and were financed by Kindermissionswerk, Aachen. Easter is a new life, a source of life. It gives the light of hope. 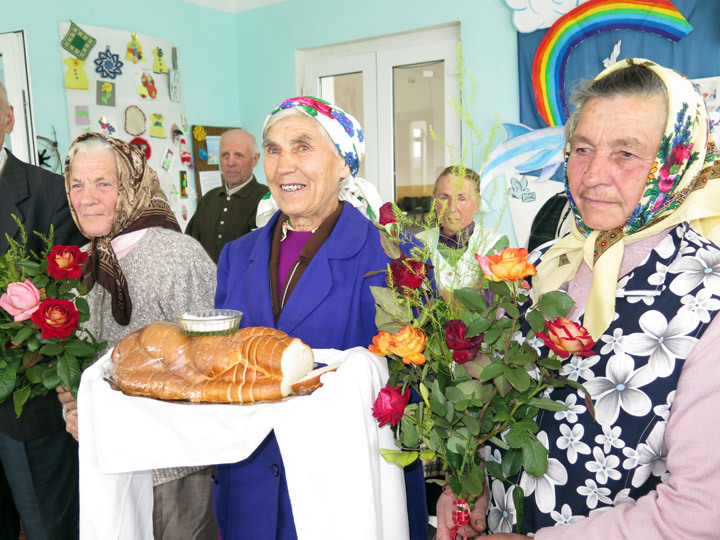 The needy, old, lonely and ill people from Grigorauca could feel the love and the wonder of this holy feast. 37 families received food parcels. 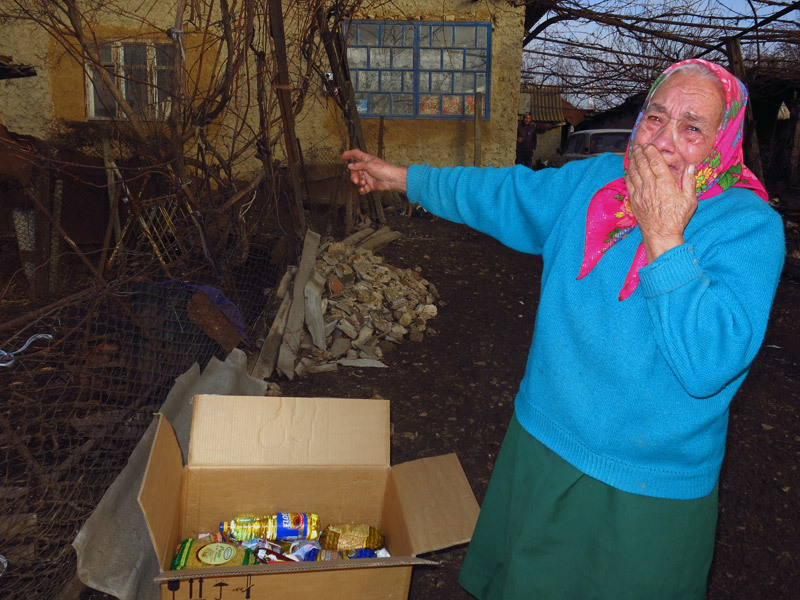 A food parcel included: chicken, fish, pasta, buckwheat, rice, semolina, sausage, sugar, oil, butter, margarine, flour, tomato paste, condensed milk, Easter cake, candies, and biscuits. The poor people will celebrate a real Easter feast. This beautiful action was supported by priest Hans Bock, Schierling and Dr. Alexander Koss, President of Südzucker Moldova SA, Chisinau. The traditional annual visit of the representatives of the German organization “Menschen helfen e.V.”, Seehausen took place on April 14, 2016. 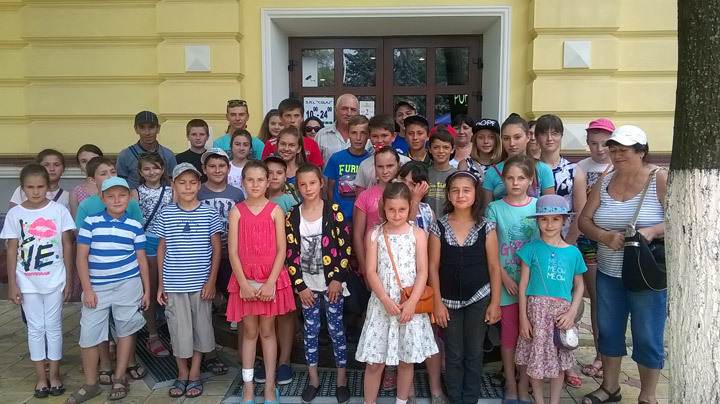 The President of the organization, Dr. Robert Roithmeier, visited with his group the day care center for children “St. Maria” in Grigorauca. 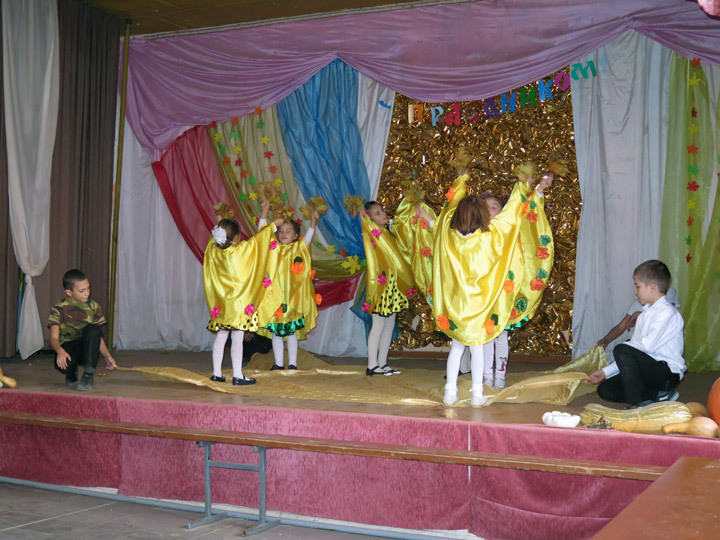 On the occasion of the sponsors’ visit, the children prepared a wonderful performance with dance and songs and puppet theatre. During this presentation, they showed their occupation in the center, the results they achieved. Our guests received handmade gifts from the children. 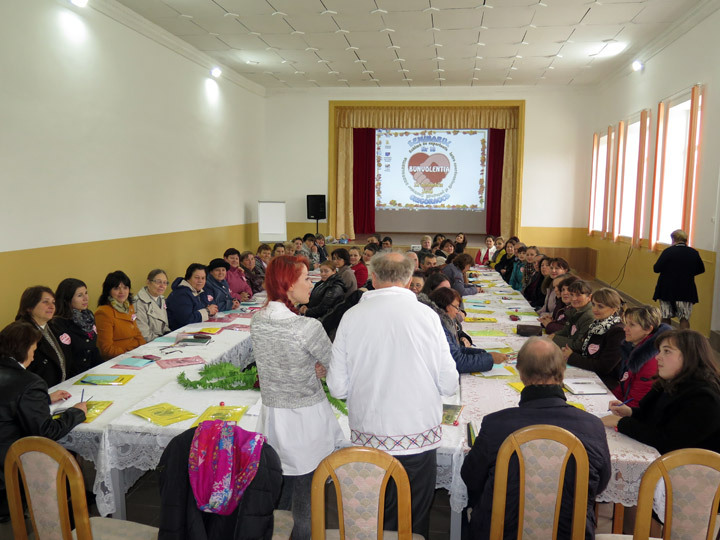 The Mayor of the village Grigorauca and the Vice President of the district Singerei were present at the presentation. They expressed their great appreciation for the support of poor children. Dr. Roithmeier and Mr. Ingo Ingerl, the Member of the Board of the organization, talked with our local coordinator, Mrs. Svetlana Pasa. They approved the implementation of some actions for children. 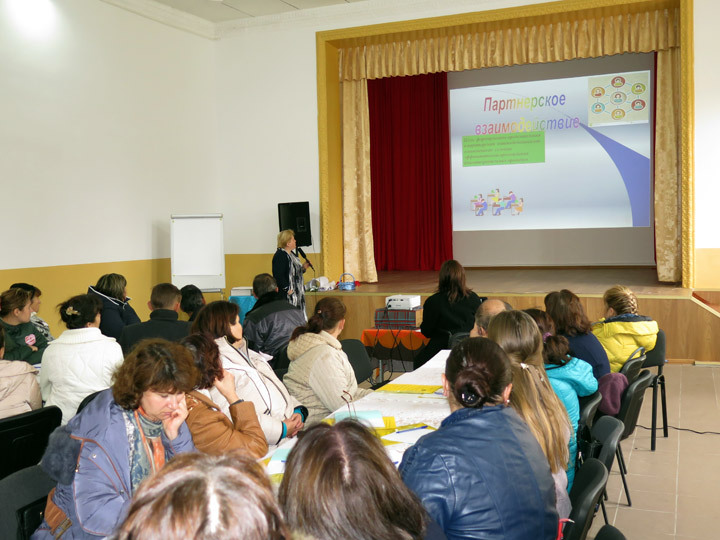 The 17th seminar for the coordinators and educators of 16 day care centers for children BUNVOLENTIA took place on April 9, 2016. There were 37 participants. 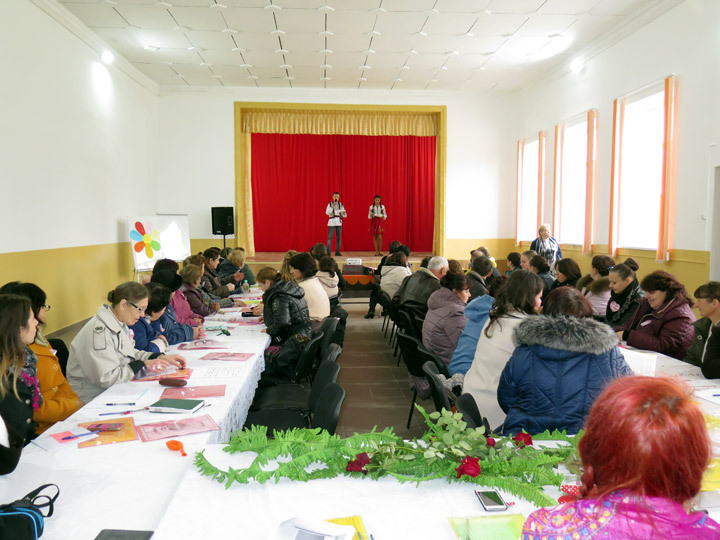 The seminar was organized for the first time in the village Gangura in the local school. It was hosted by our local coordinator, Mrs. Ilascu Larisa. The newly appointed school director was also invited. Mrs. Ilascu has a great experience in working with needy people of the community, especially with children. She is also a social worker. Mrs. Ilascu prepared a presentation on the topic “Protection of children in risk situations and of children separated from their parents”. After the presentation, the educators could talk about their difficulties and desires. It was a special and pleasant meeting, where everyone could openly express ideas and thoughts. 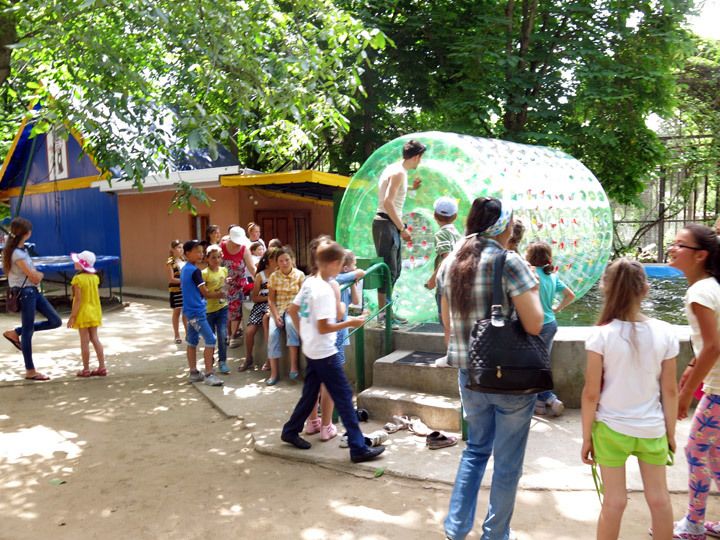 A beautiful action was implemented by KINDERMISSIONSWERK, Aachen for Moldovan children. 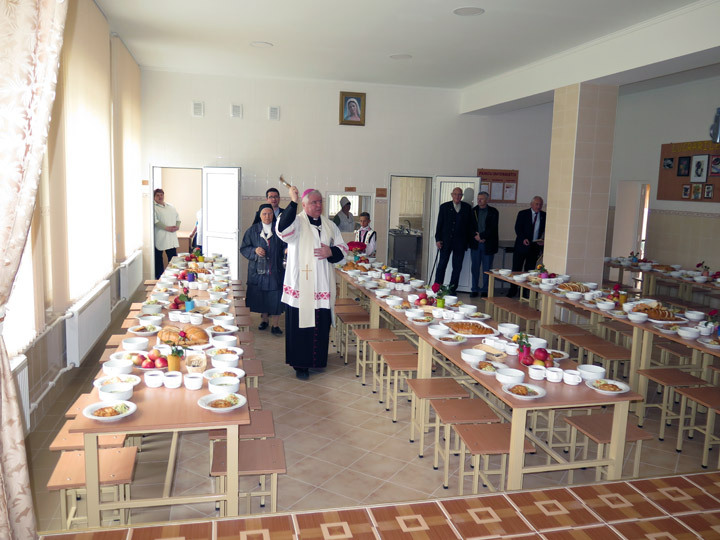 Four day care centers for children BUNVOLENTIA from the district Singerei (in the North of Moldova) received new furniture (tables, chairs, cupboards, panels). This is very important for a productive learning process. These day care centers for children are located in local schools that have old and damaged furniture. 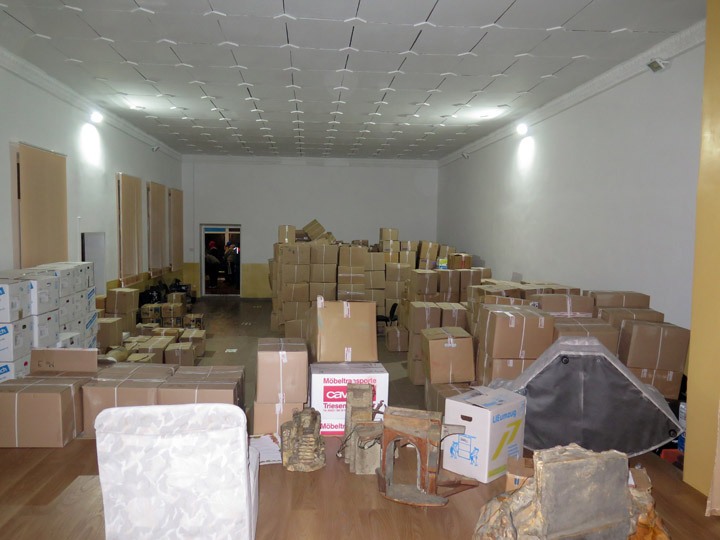 There was also no place for storage of work materials and handicrafts. With the purchase of the mentioned furniture, a nice, pleasant atmosphere was created. 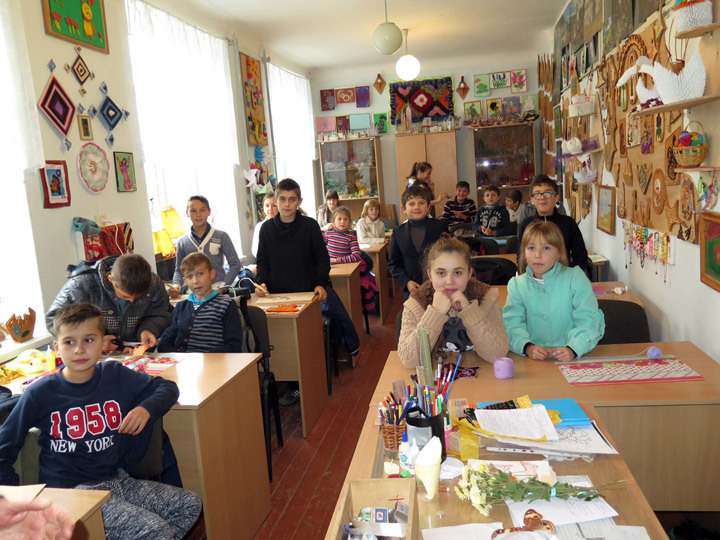 93 children from four day care centers are feeling good now and perform their tasks with pleasure. 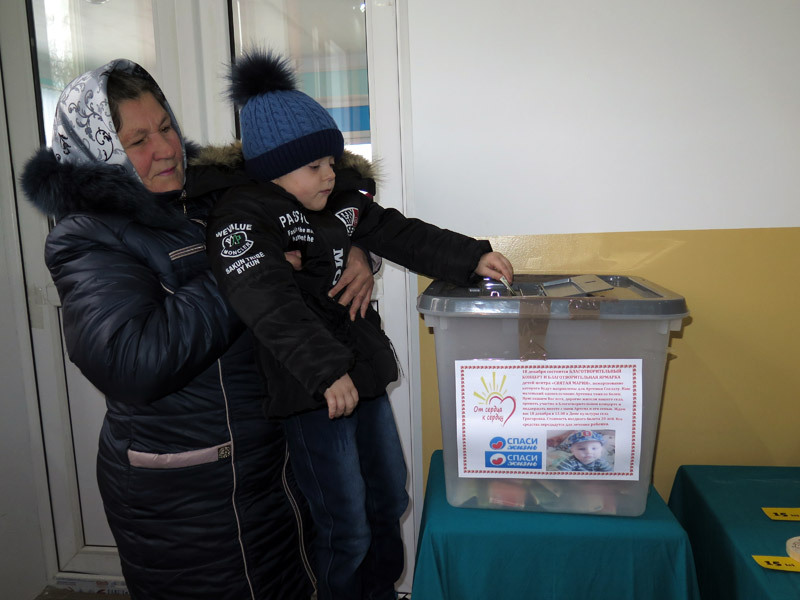 “Help for Children in Need” (HCN), Evilard is a Swiss charity organization providing a great help and support to needy children and old people from Moldova. 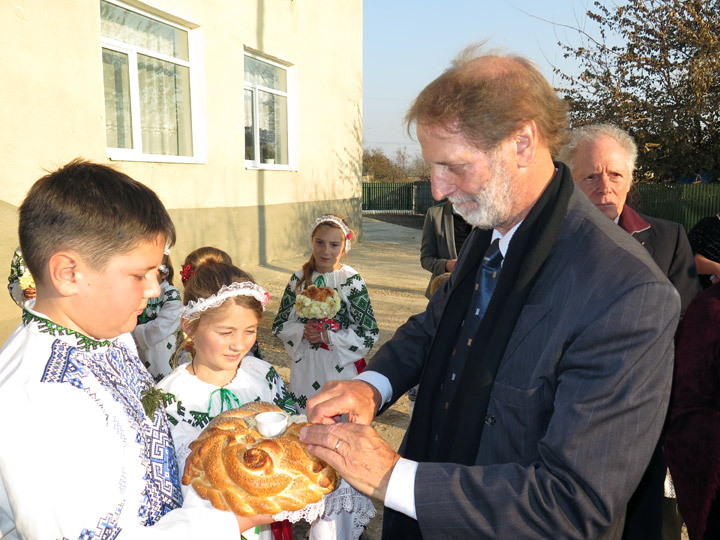 The President of HCN, Mr. Peter Garst, visited Moldova in 2005. Since then, a productive collaboration with PRO UMANITAS began. The annual meeting of HCN took place in Switzerland on April 4, 2016. At this meeting, Mr. Edwin Hollenstein was elected as Vice President. Mr. Hollenstein visited our country for the first time in November 2015. 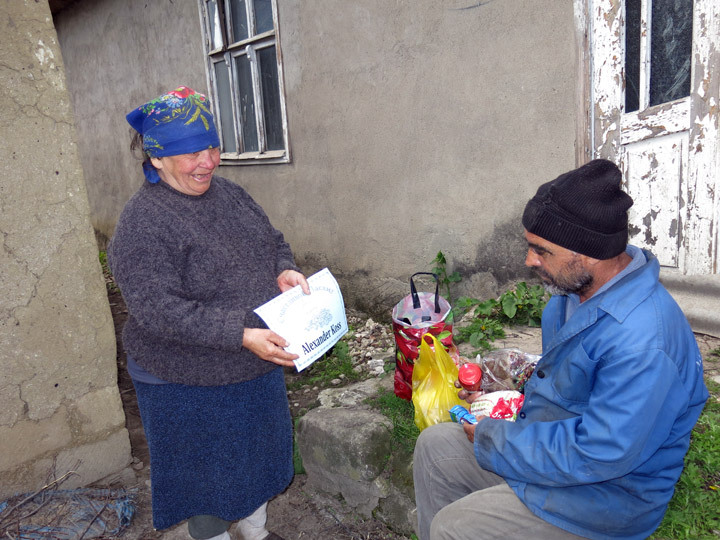 He could see the commitment of HCN in Moldova, as well as experience the great joy of children and old people from the provided assistance. We also cordially congratulate Mr. Hollenstein to his new appointment as Vice President of HCN. We wish him strength and success in the future. 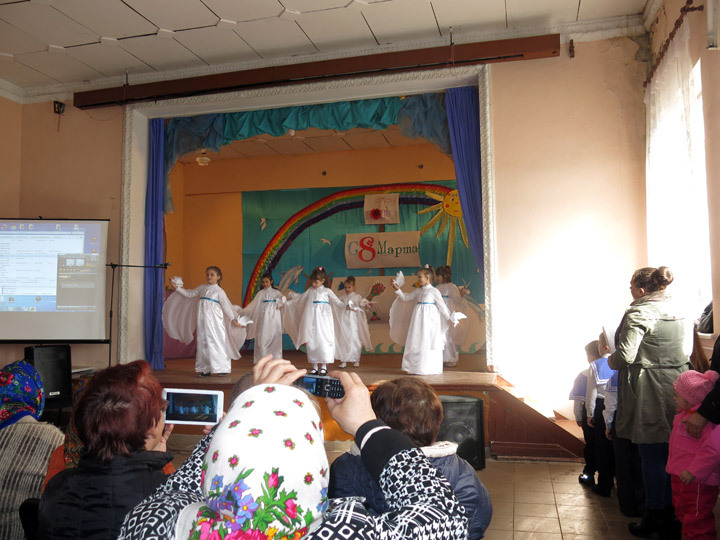 On the occasion of the international women's day (celebrated on March 8), the children from the day care center “St. 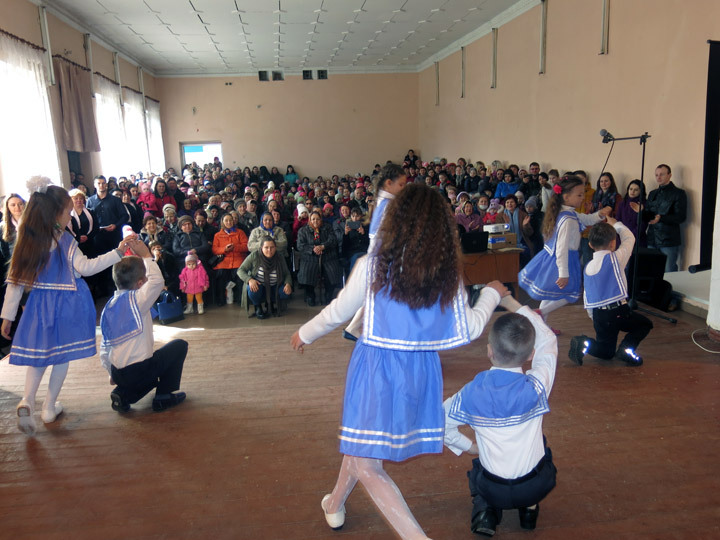 Maria”, Grigorauca organized a concert for all mothers and grandmothers. The culture center of the village was packed. All villagers enjoyed the beautiful presentation with dances and songs. 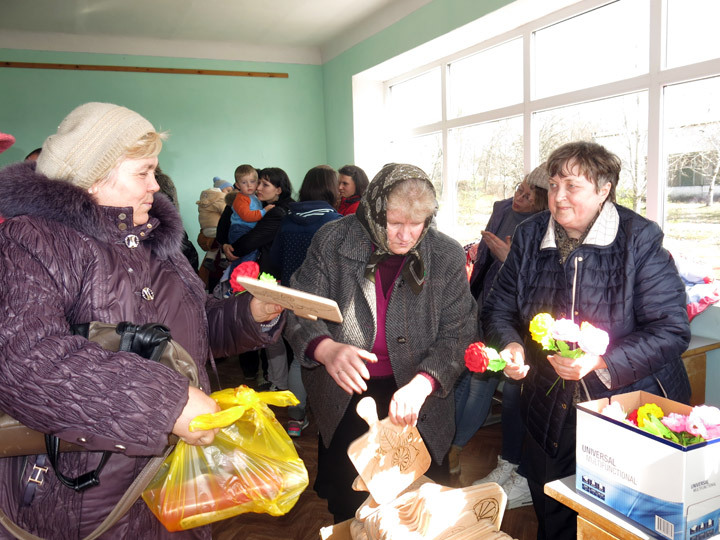 The children prepared also handmade gifts for women. 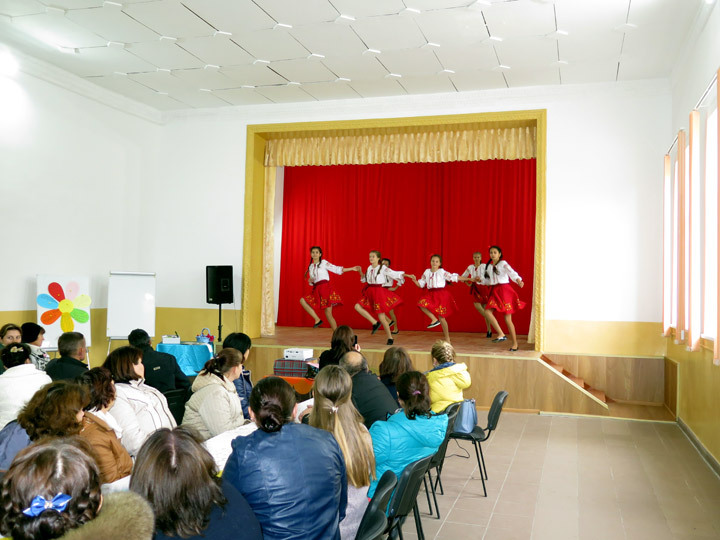 The villagers saw within the concert the positive results of the great work with the children from the day care center “St. Maria”. The children became more skillful and open. 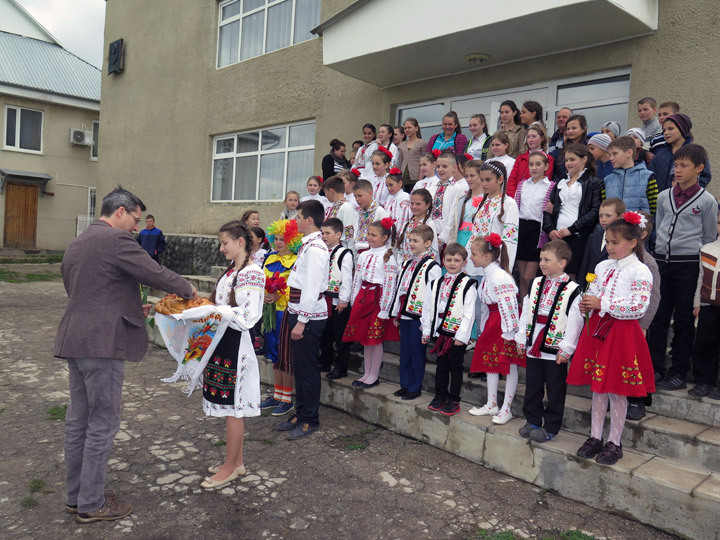 The school of Grigorauca receives 180 children. Only small repair works were done since the construction year (1970). The condition of the kitchen wing was particularly bad. It did not correspond to the sanitary standards. 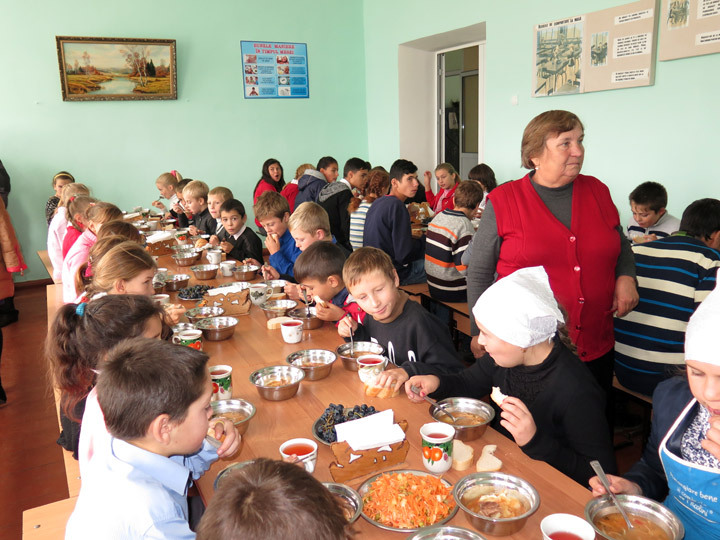 It was necessary to repair the kitchen wing and the dining-hall, so that children may eat in good and healthy conditions. Thanks to the German organization “KINDERMISSIONSWERK”, Aachen that took over all costs for repair and equipment we could start the works. With great joy we would like to announce that our annual Report of Activity 2015 is now available on our website under the Reports section. 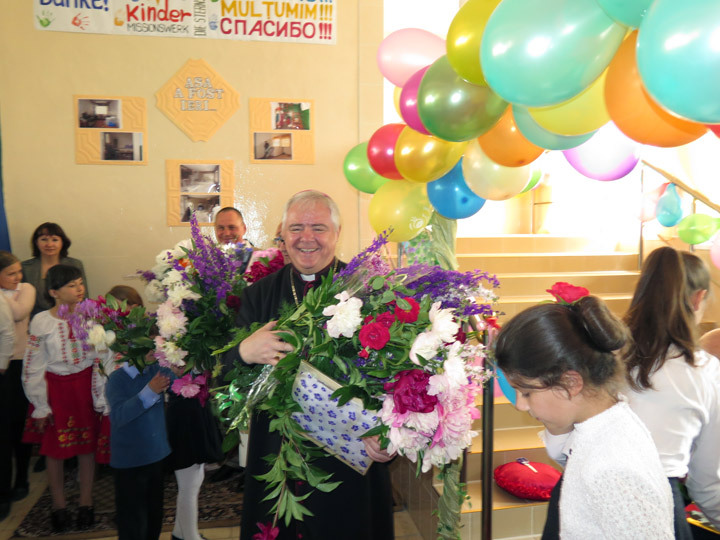 Whenever Mrs. Ursula Honeck and Mr. Gunther Köllner from the organization “Hilfe für Osteuropa e.V.”, Todtnau come to Moldova, they bring great joy to needy families. Thus, they were at the end of January in our country, in order to visit various projects in Orhei, Edinet and Chisinau. 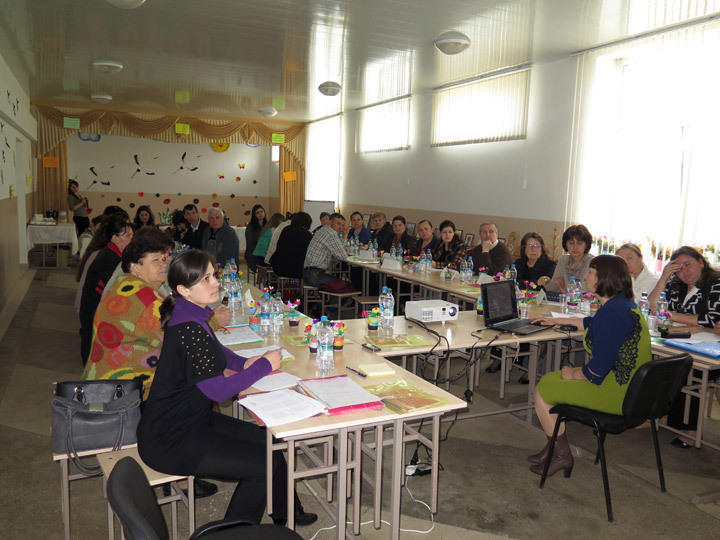 In Chisinau, a nice meeting with the supported families was organized. Mrs. Honeck and Mr. Köllner handed over the donations from their sponsors from Germany and took with them many words of thanks and wishes.